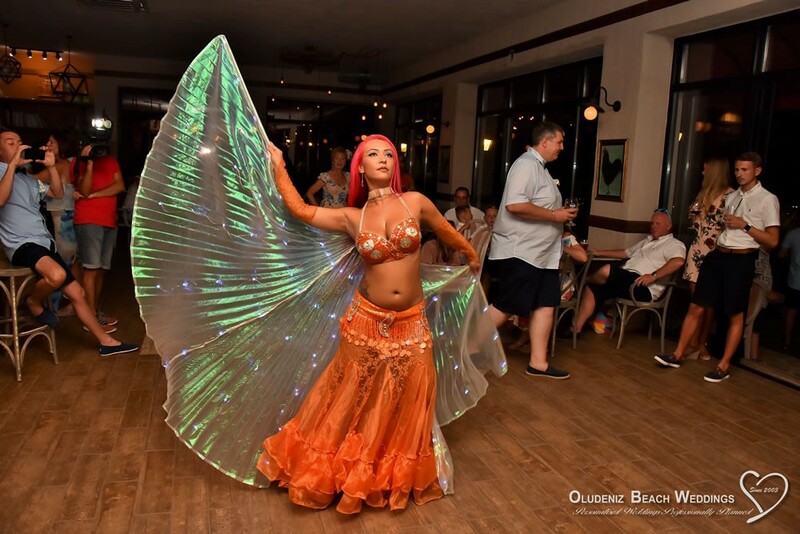 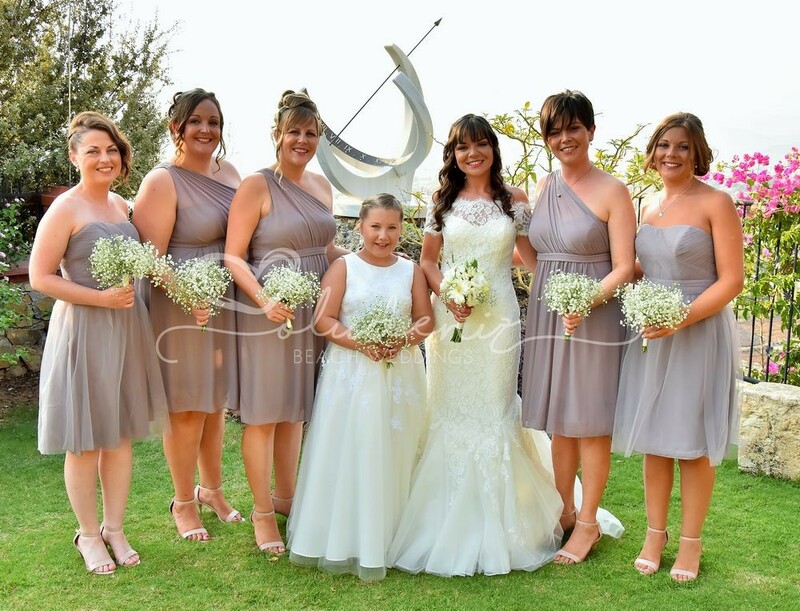 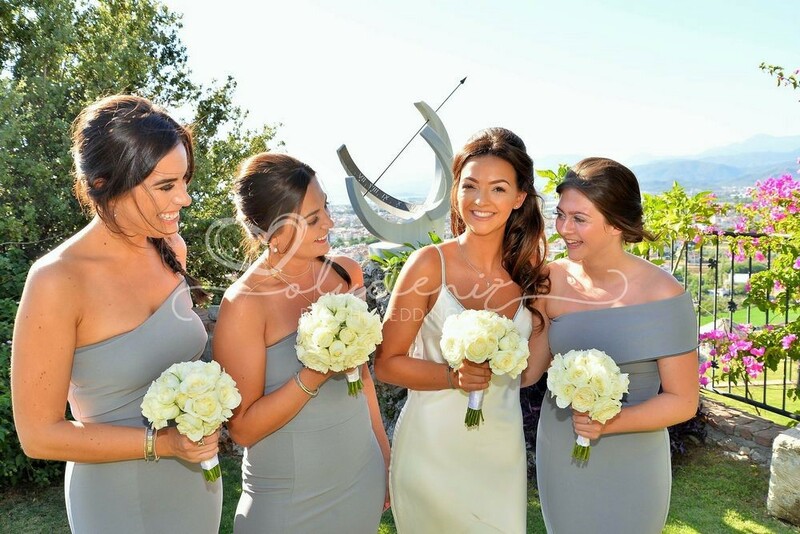 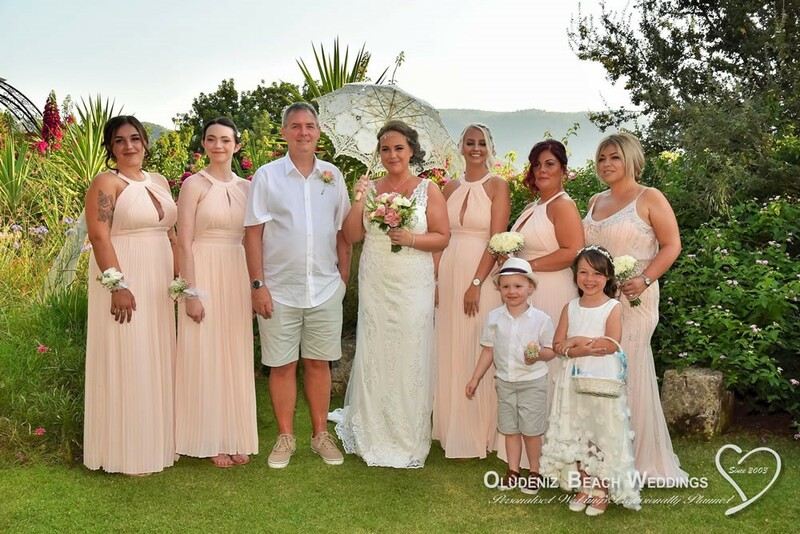 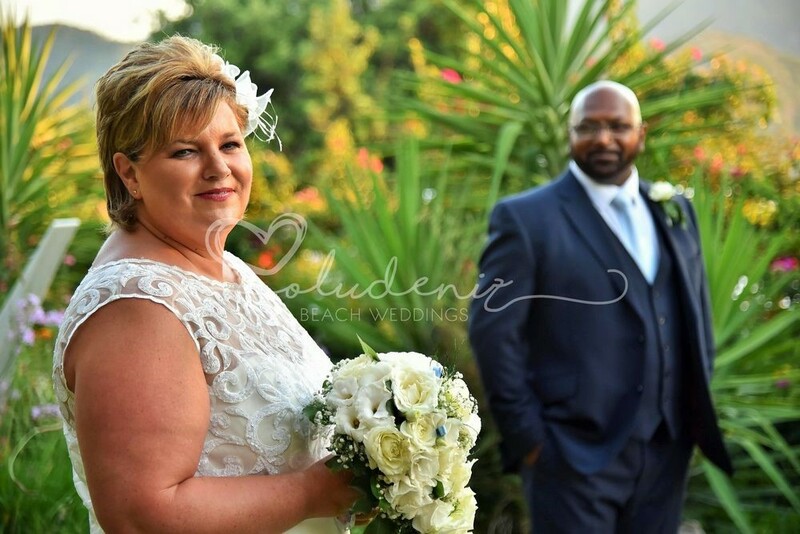 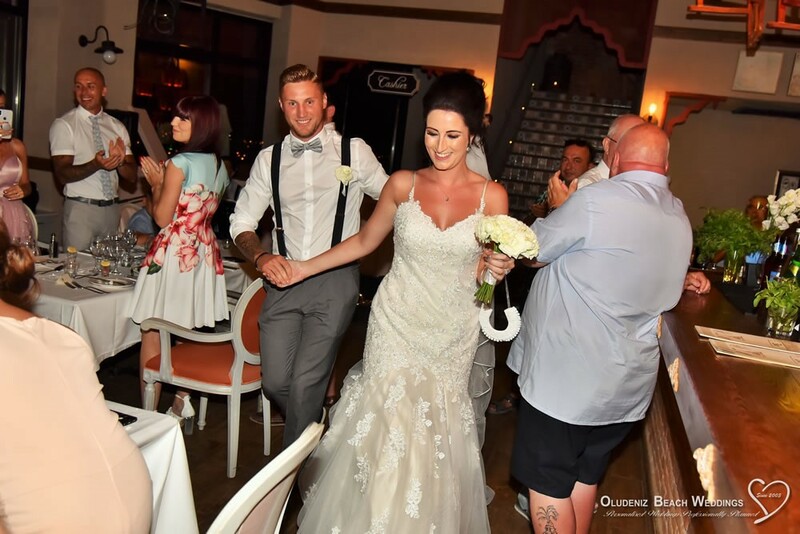 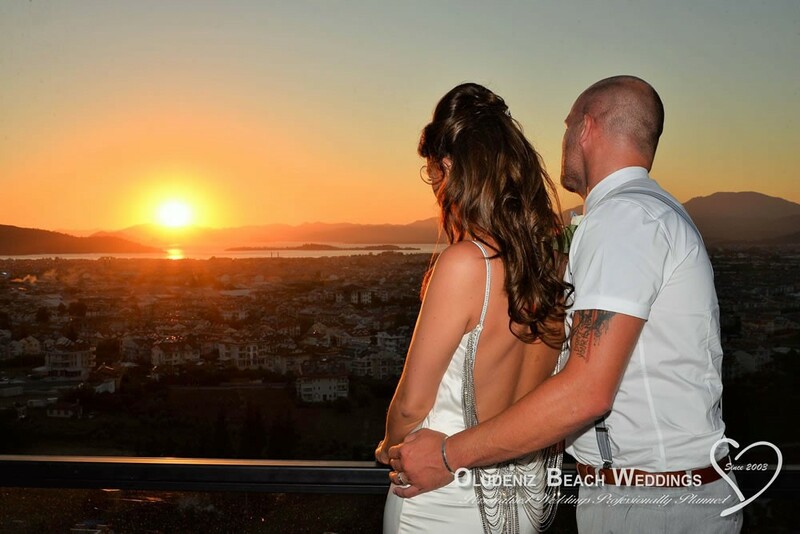 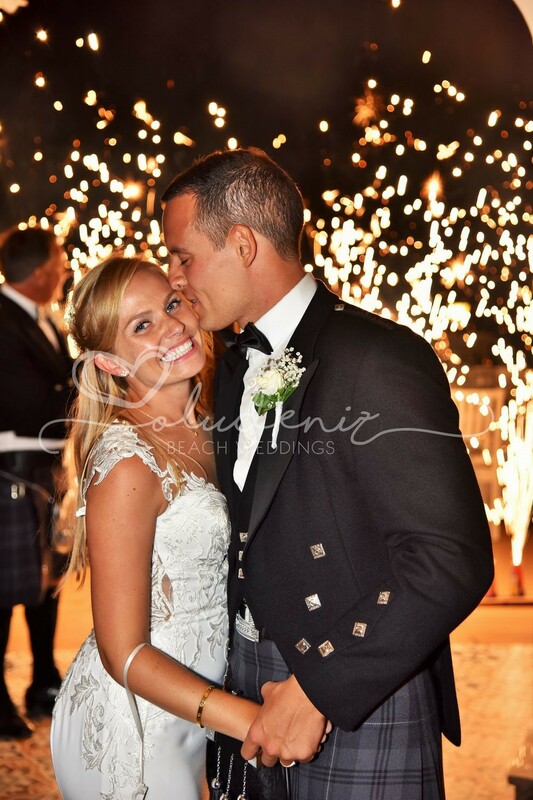 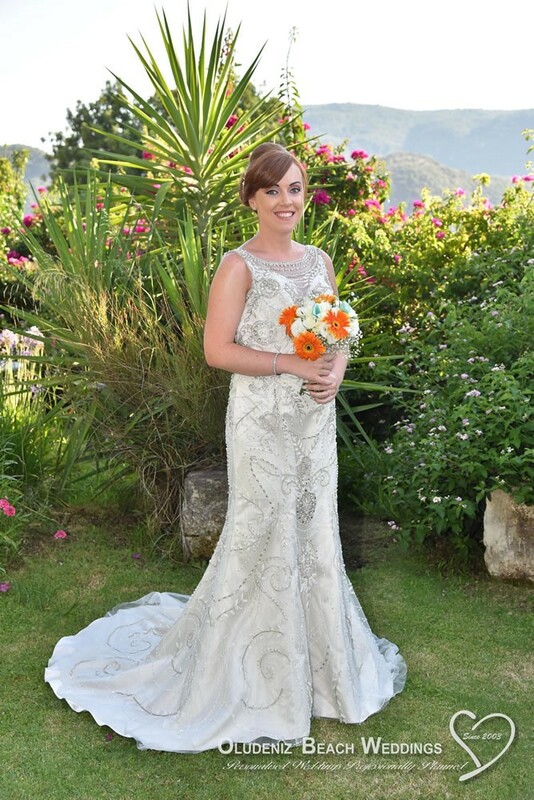 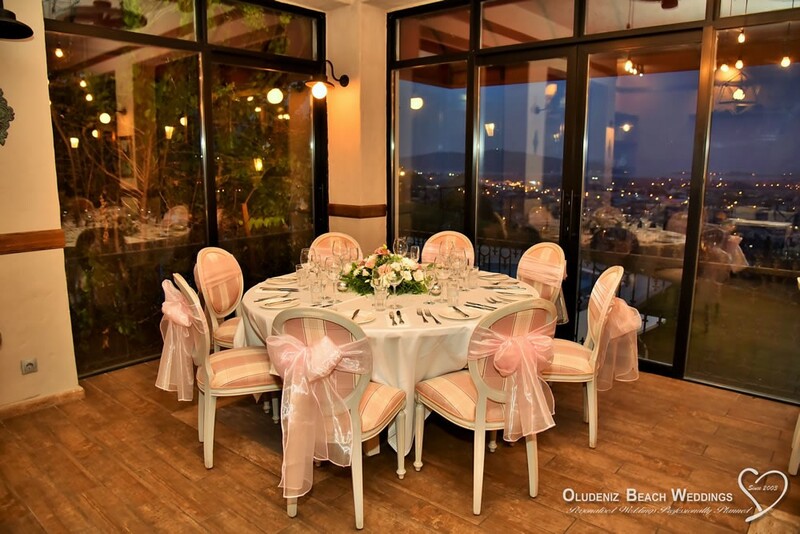 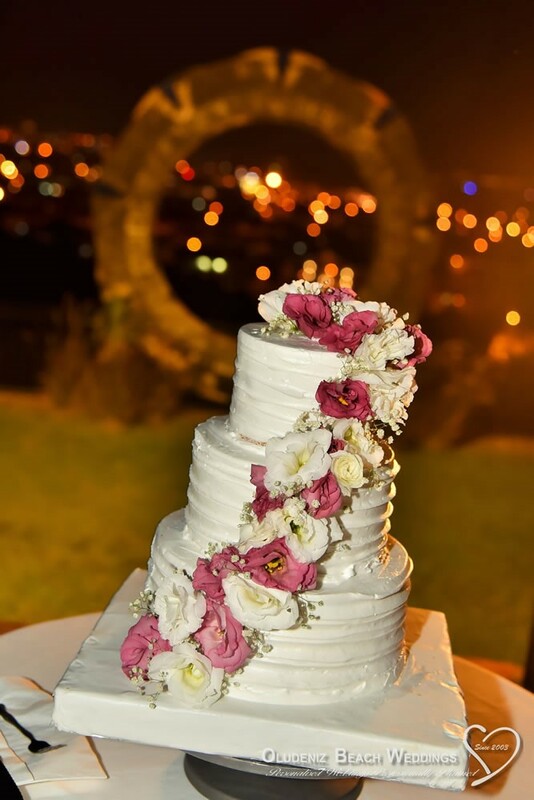 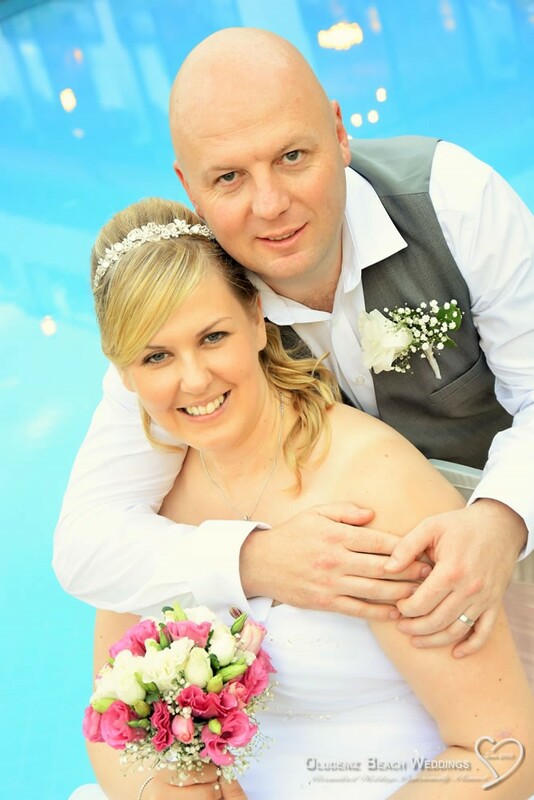 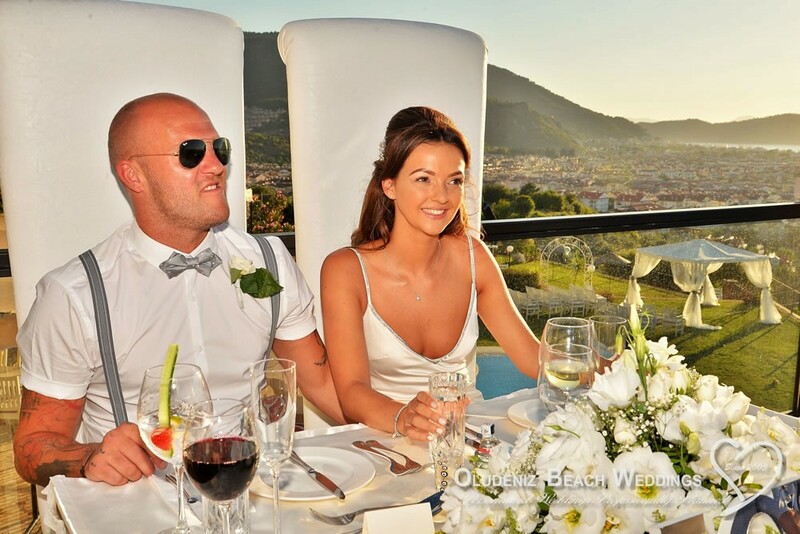 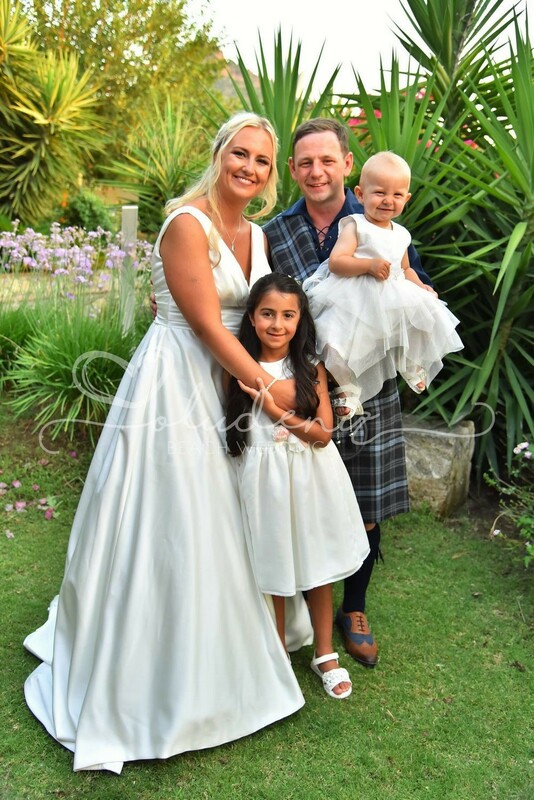 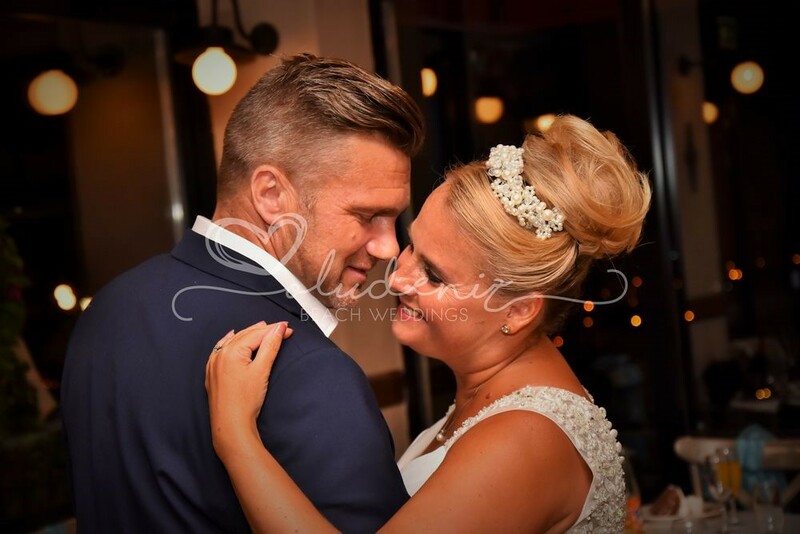 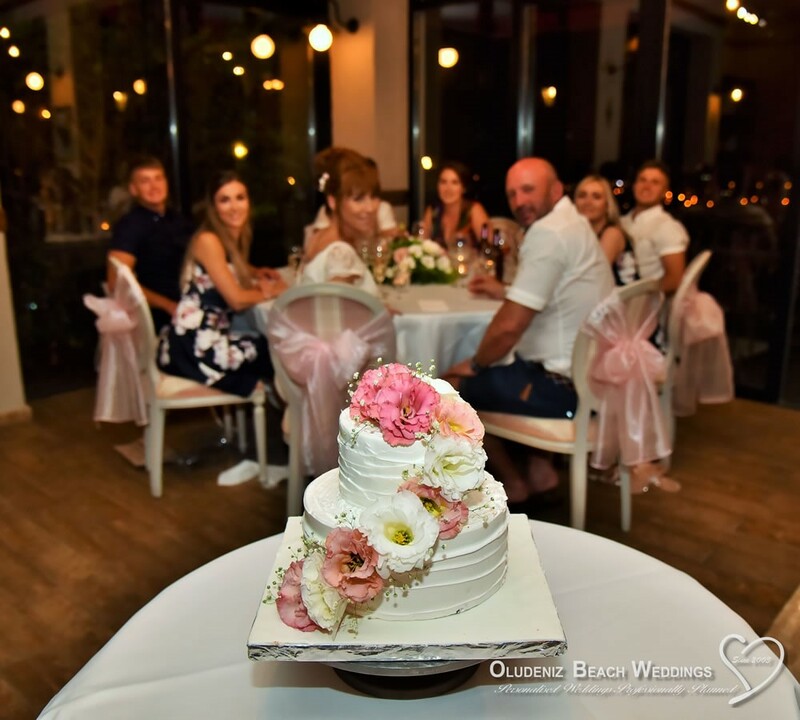 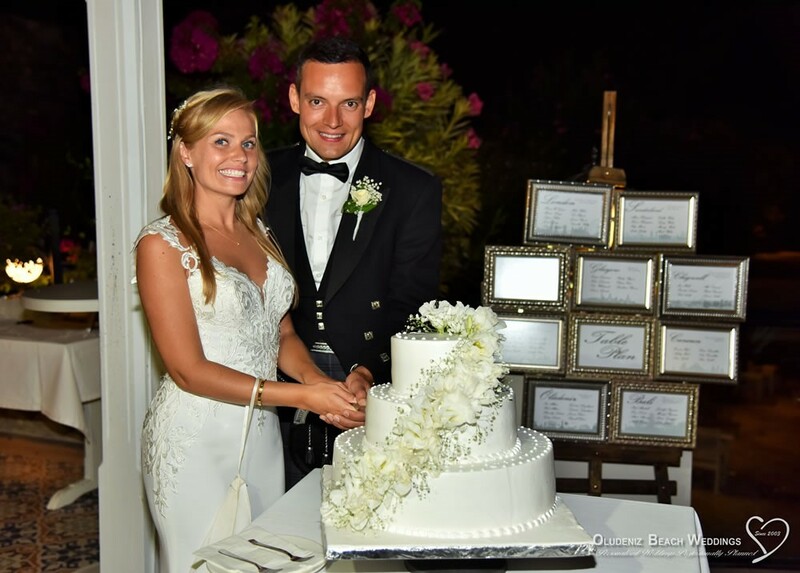 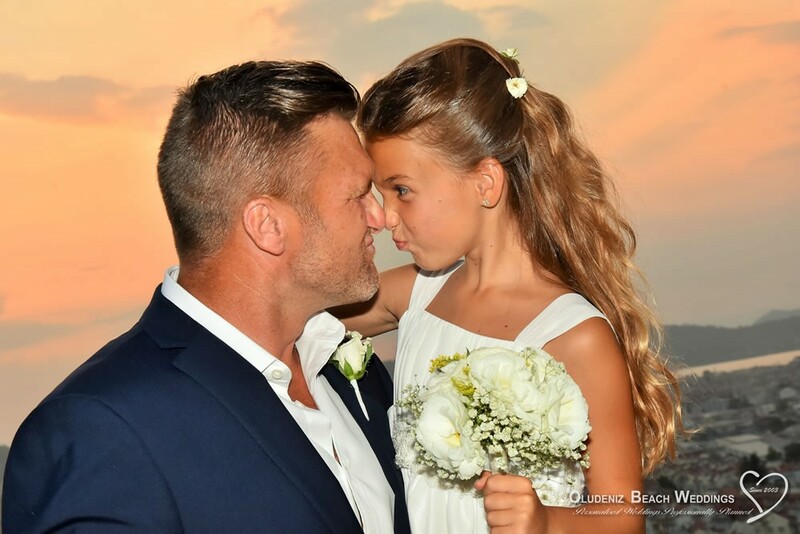 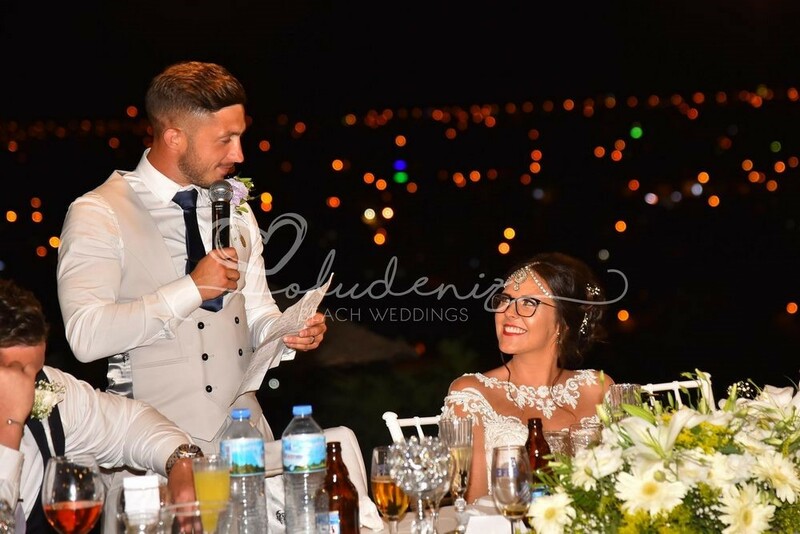 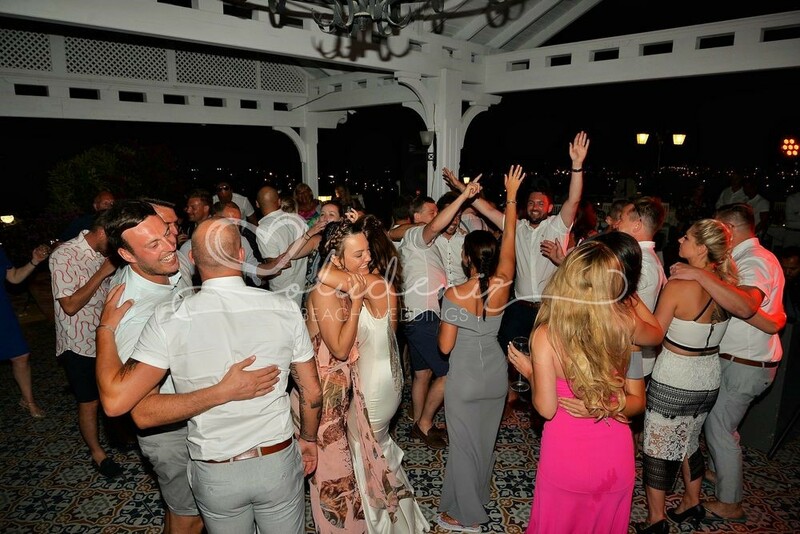 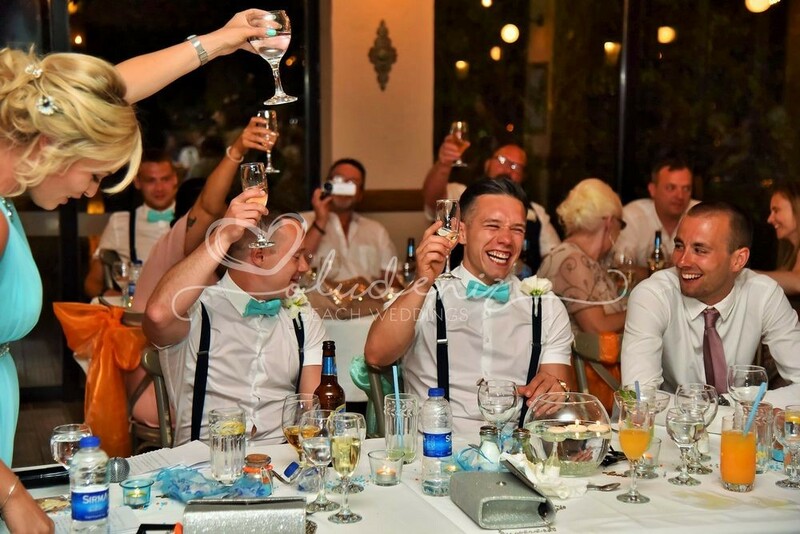 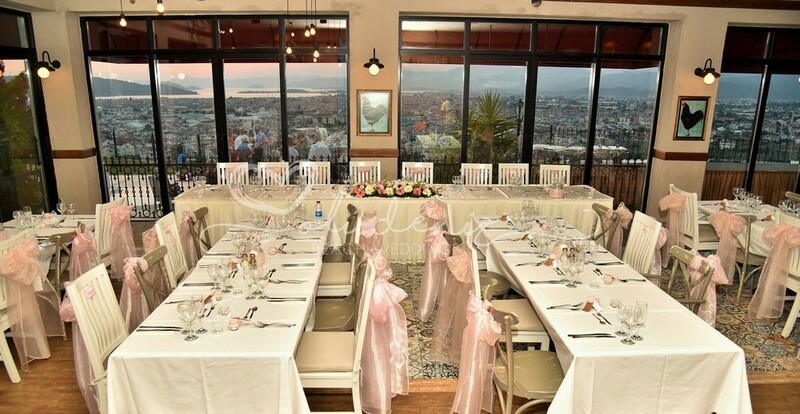 The Sundial Restaurant is rapidly becoming a sought after venue for parties and weddings. 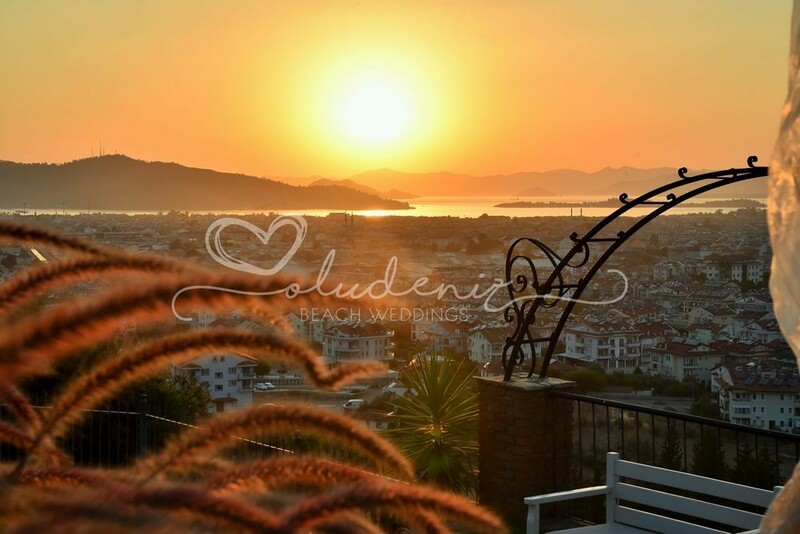 It has acquired a reputation for the wonderful views from its terraced seating areas that overlook the harbour town of Fethiye and beyond to the sea, islands and mountains. Facing in a south-westerly direction, it is perfectly positioned to make the most of the sunsets for which this part of the coast is justifiably famous. 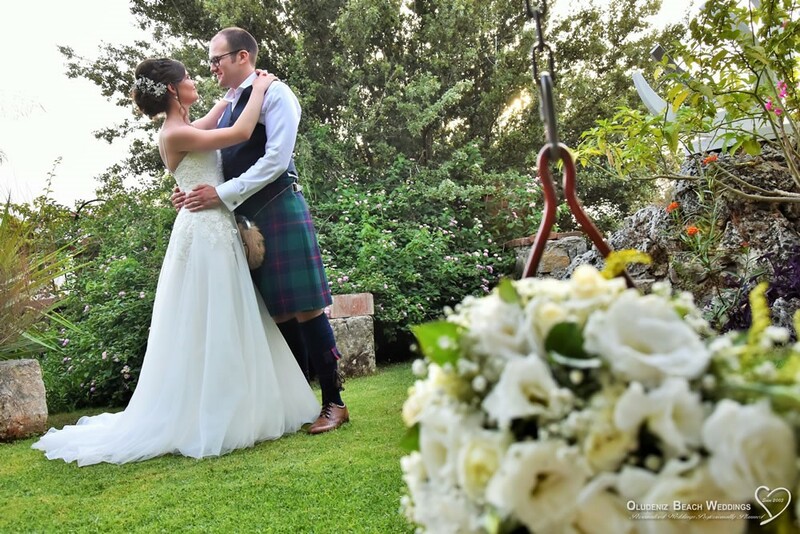 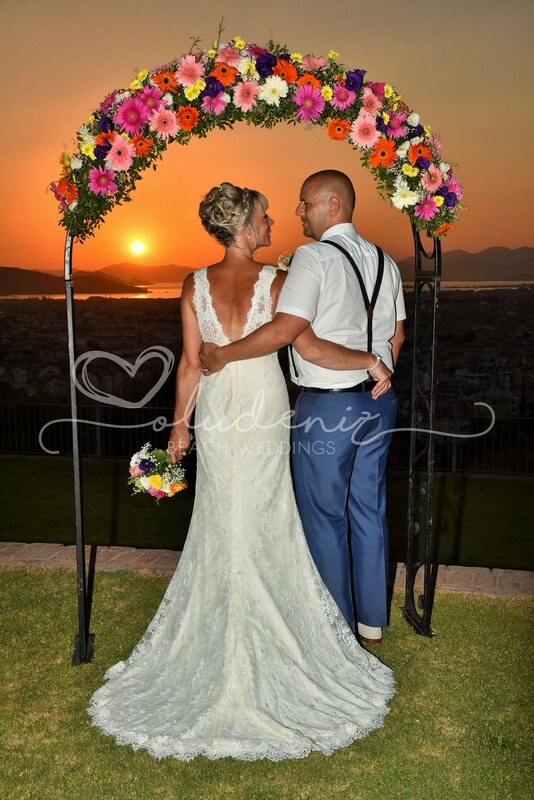 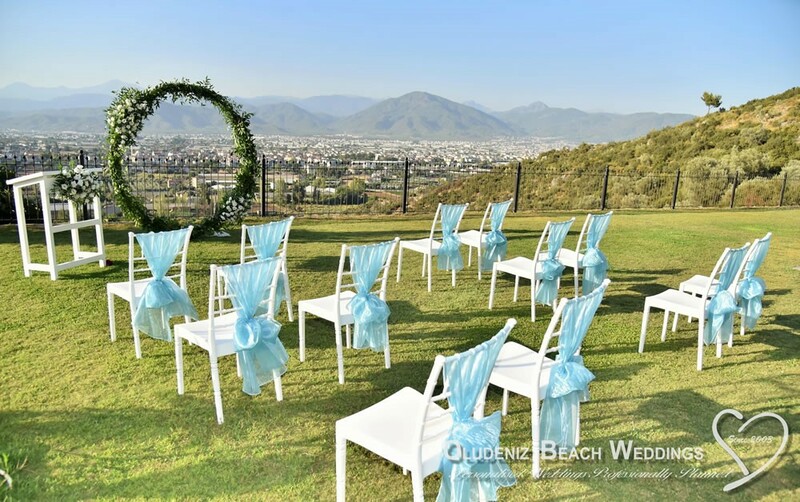 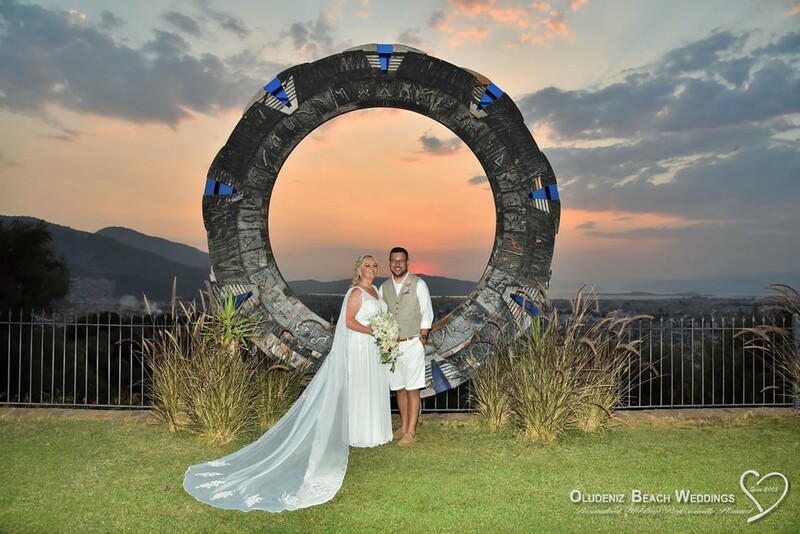 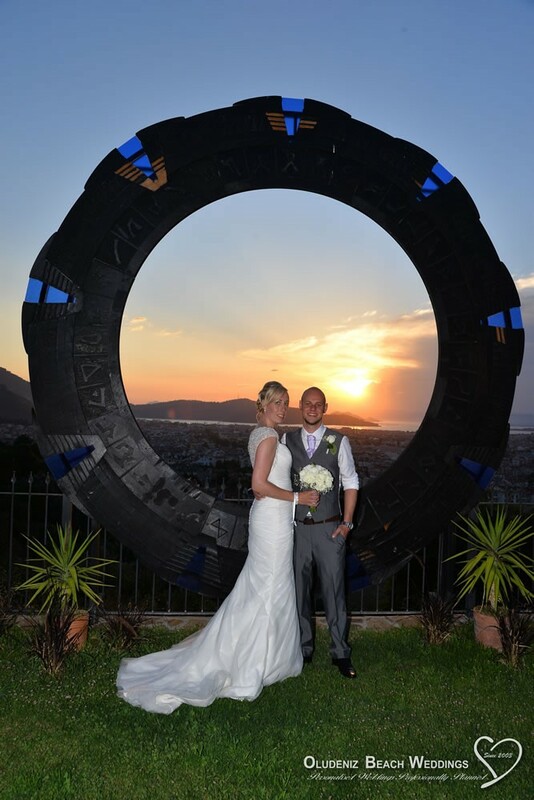 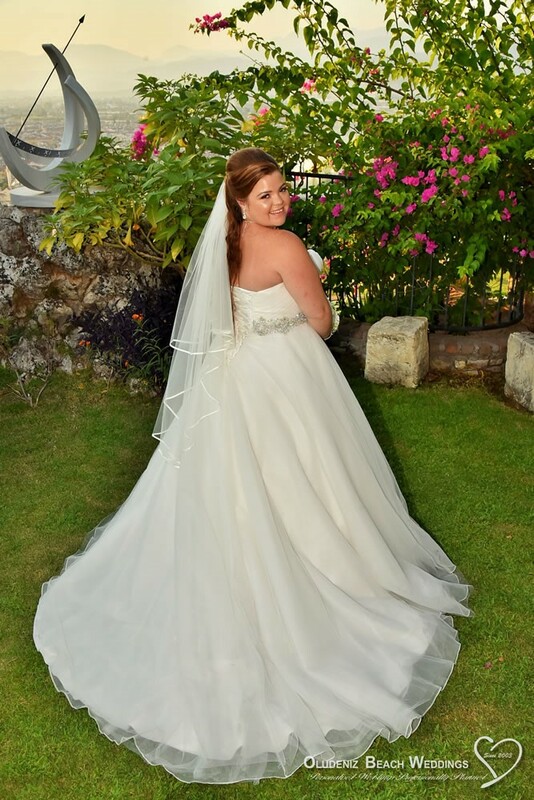 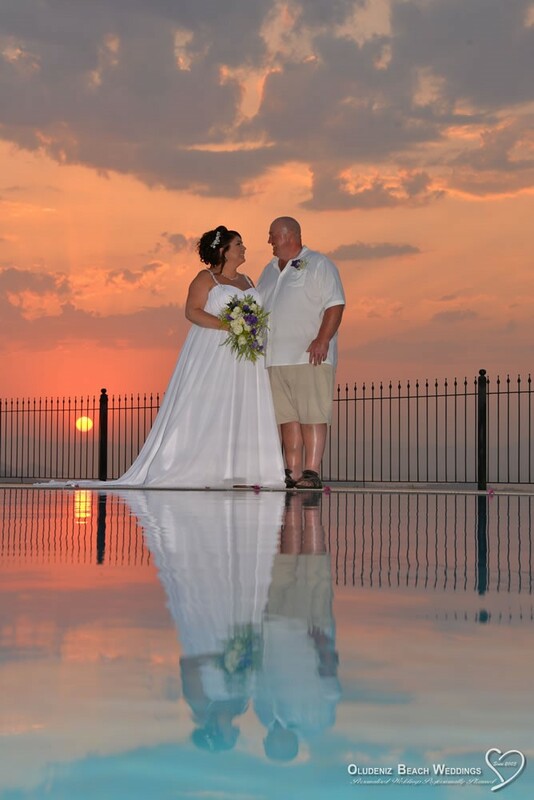 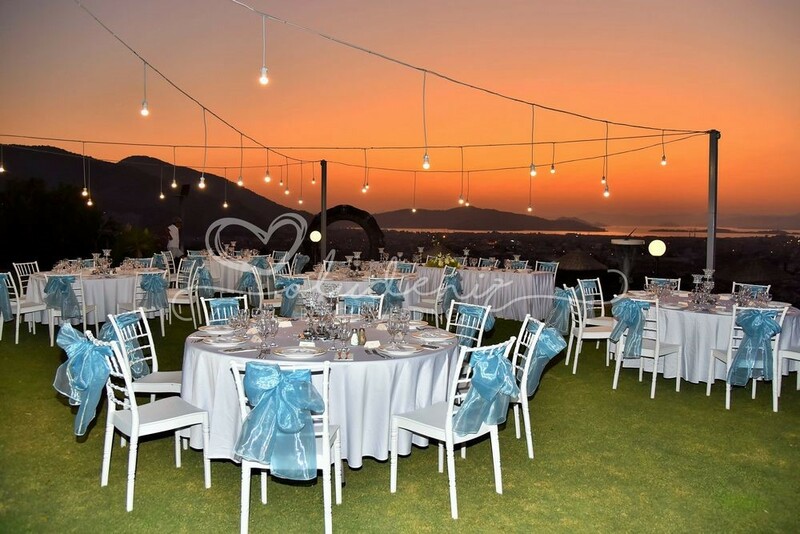 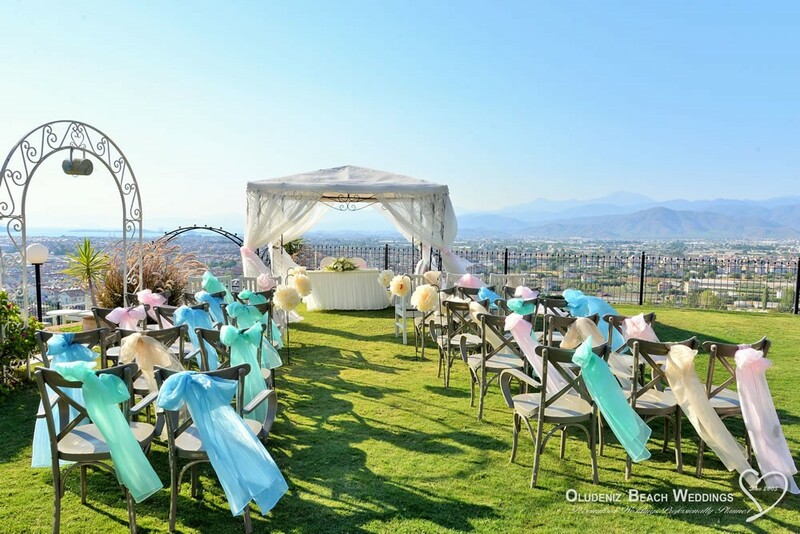 A lawned area offers a smart ceremony location with a great photo backdrop. 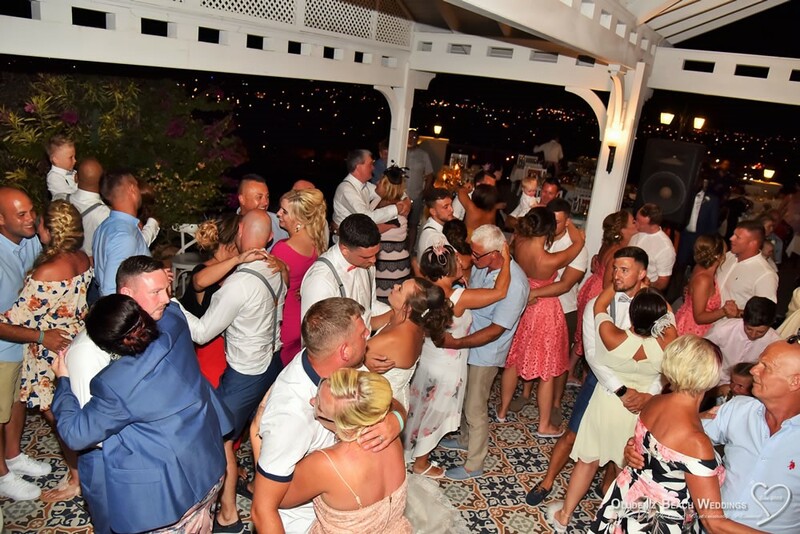 Sundial Restaurant’s owners have created a friendly atmosphere and a fine menu and can cater for groups of up to fifty. 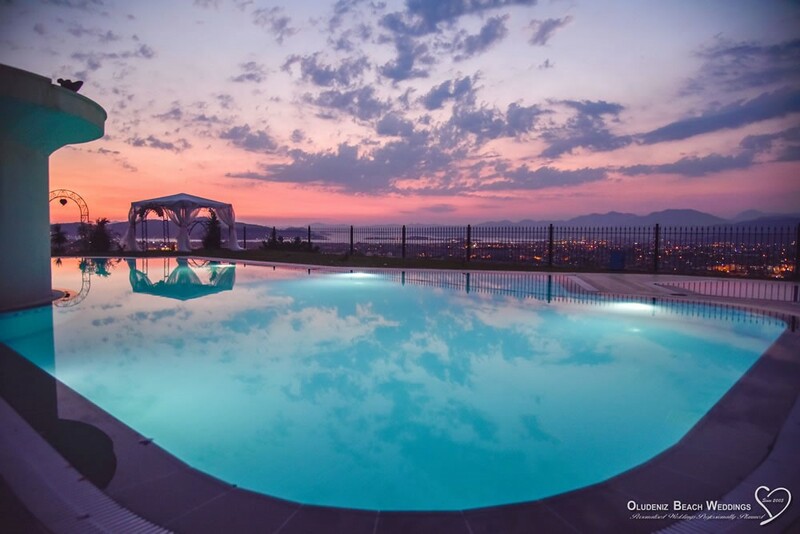 There is a large swimming pool with views behind up towards Mendos, Fethiye’s summer mountain pastures. 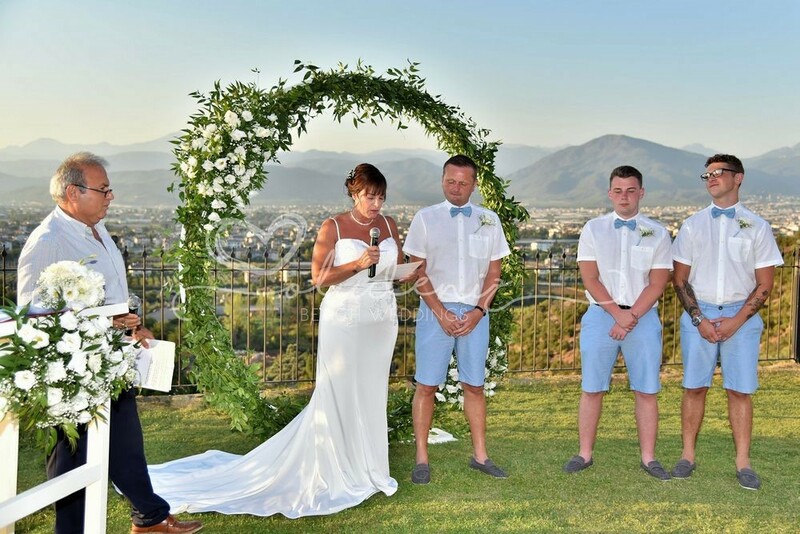 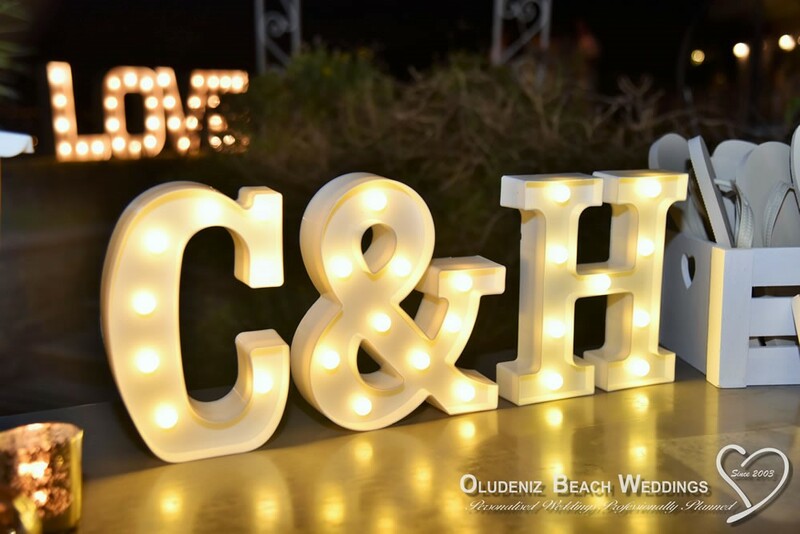 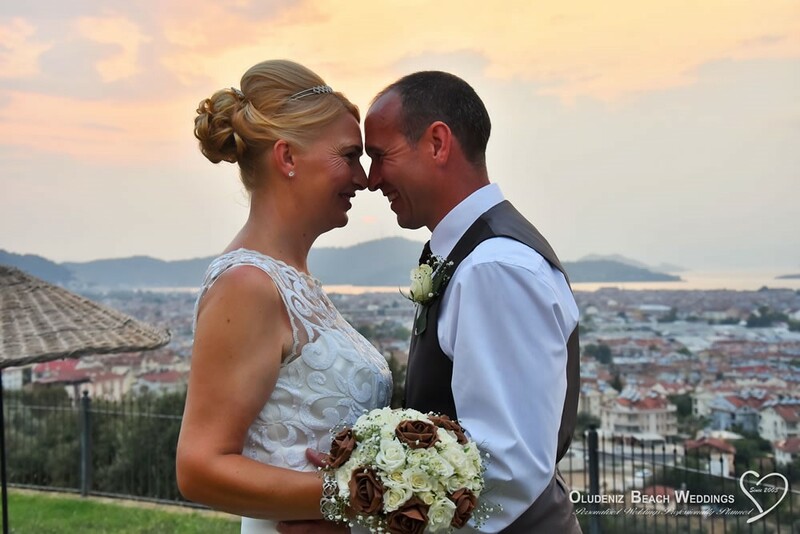 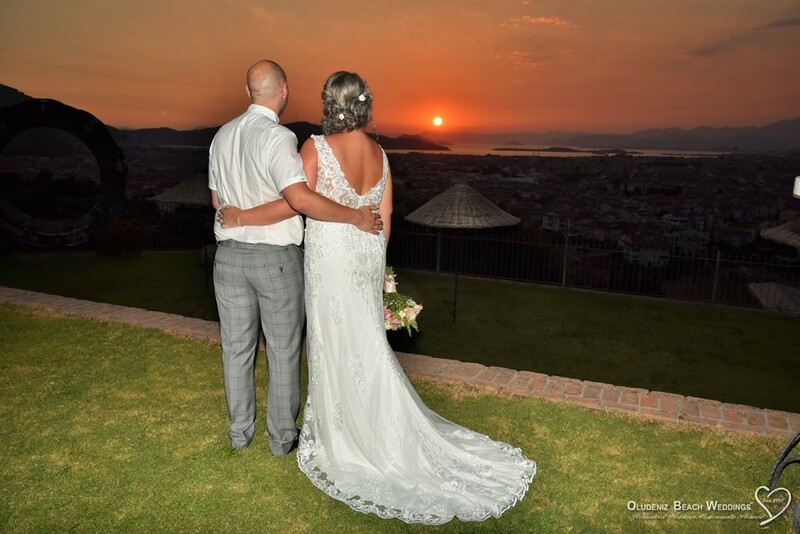 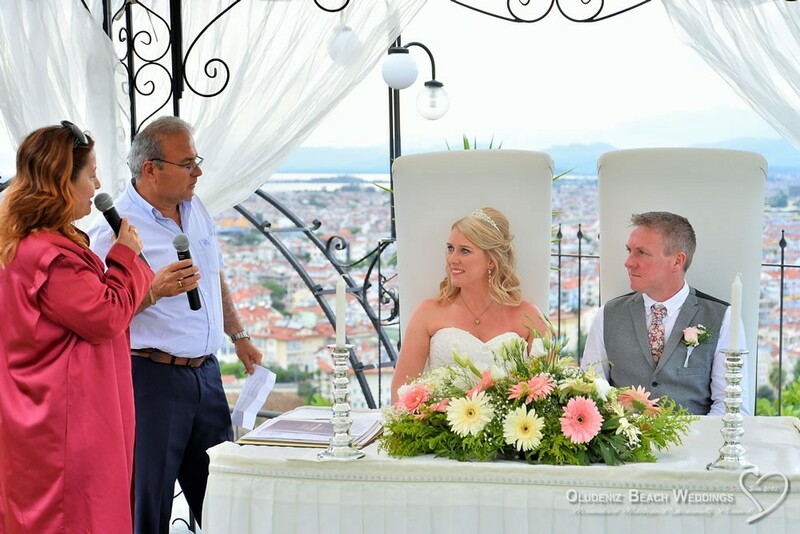 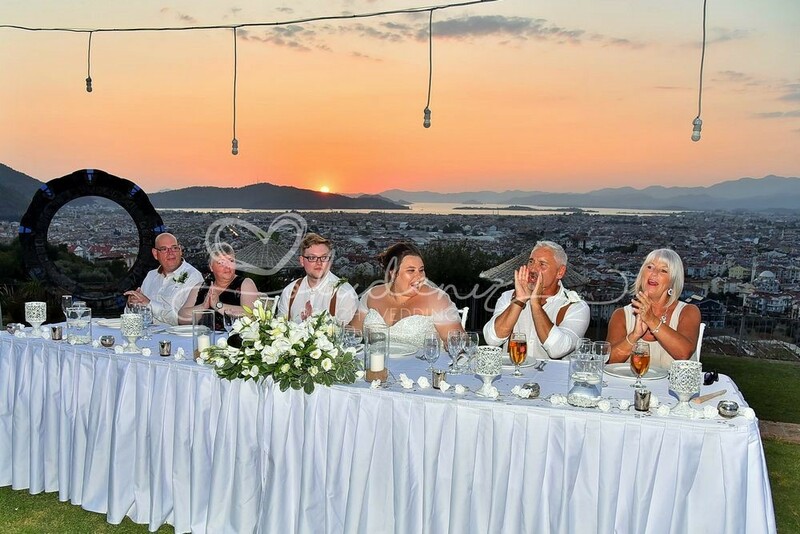 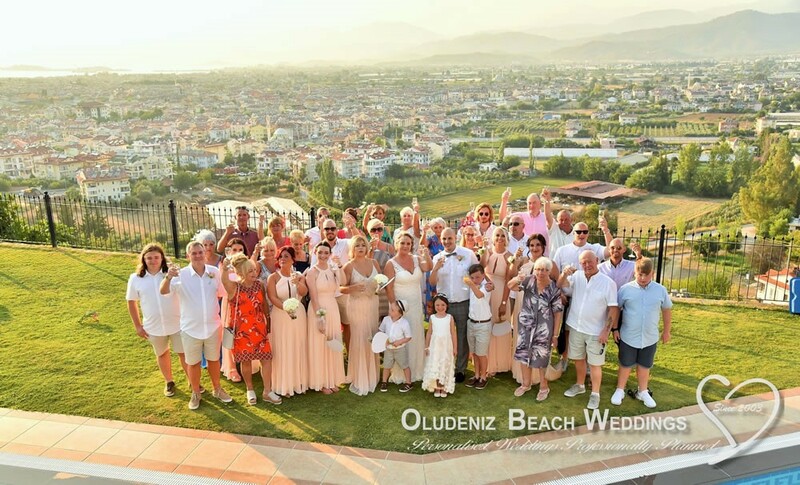 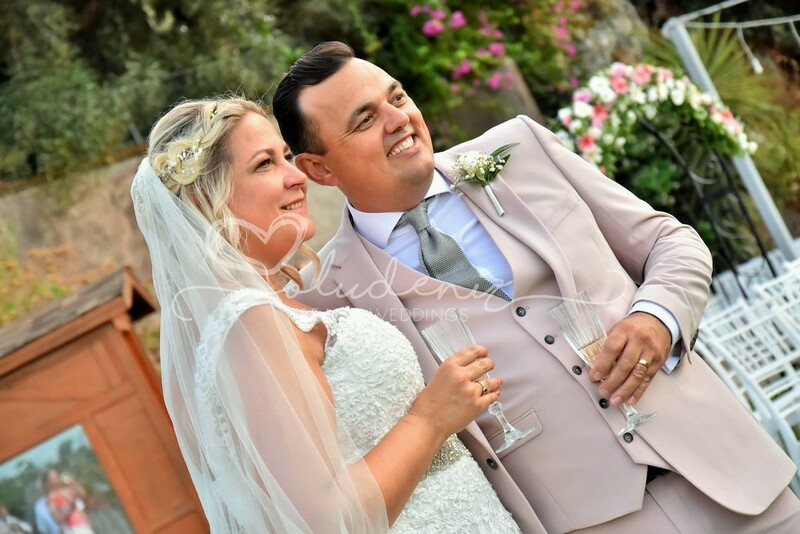 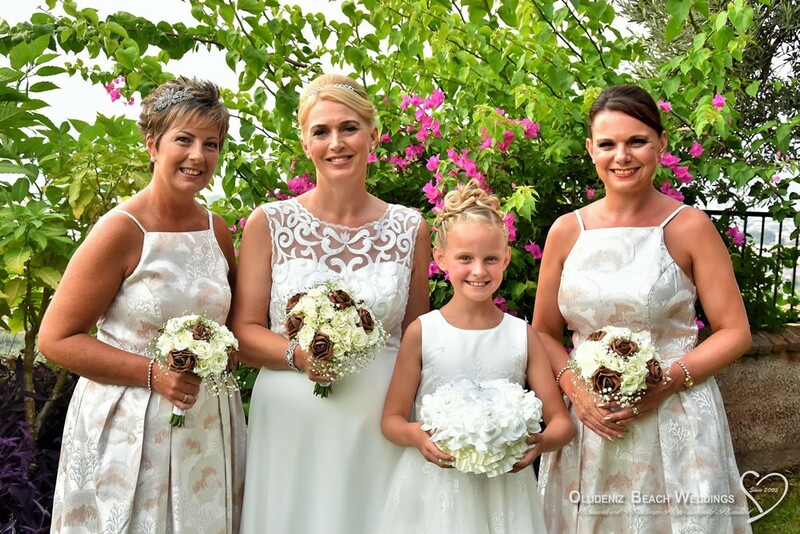 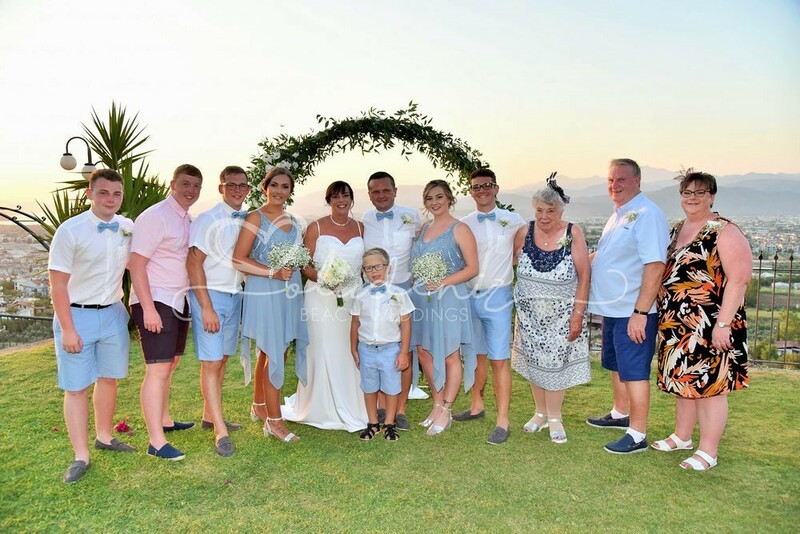 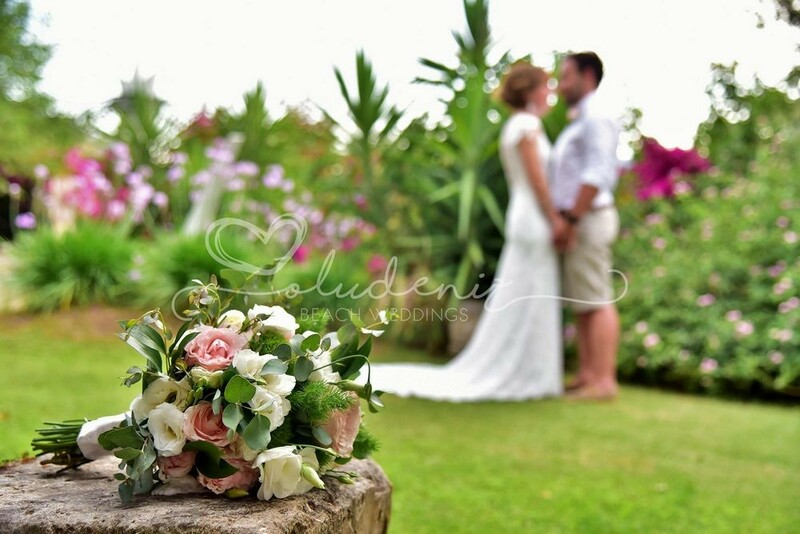 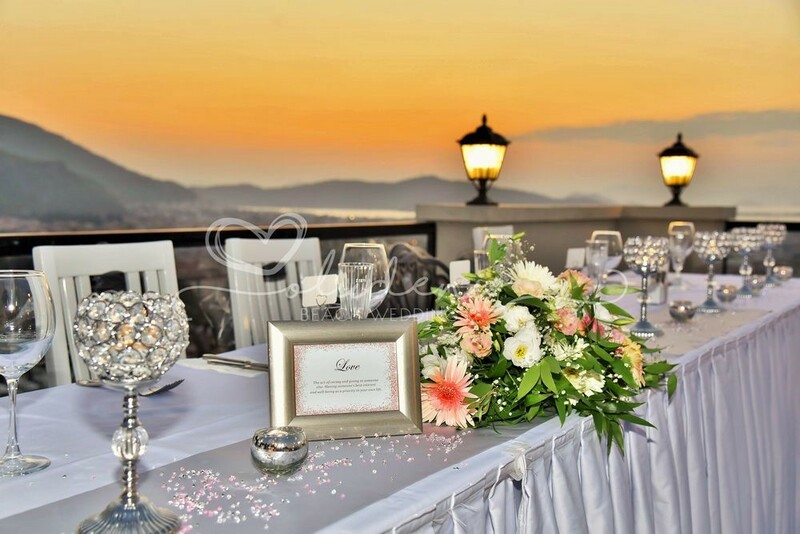 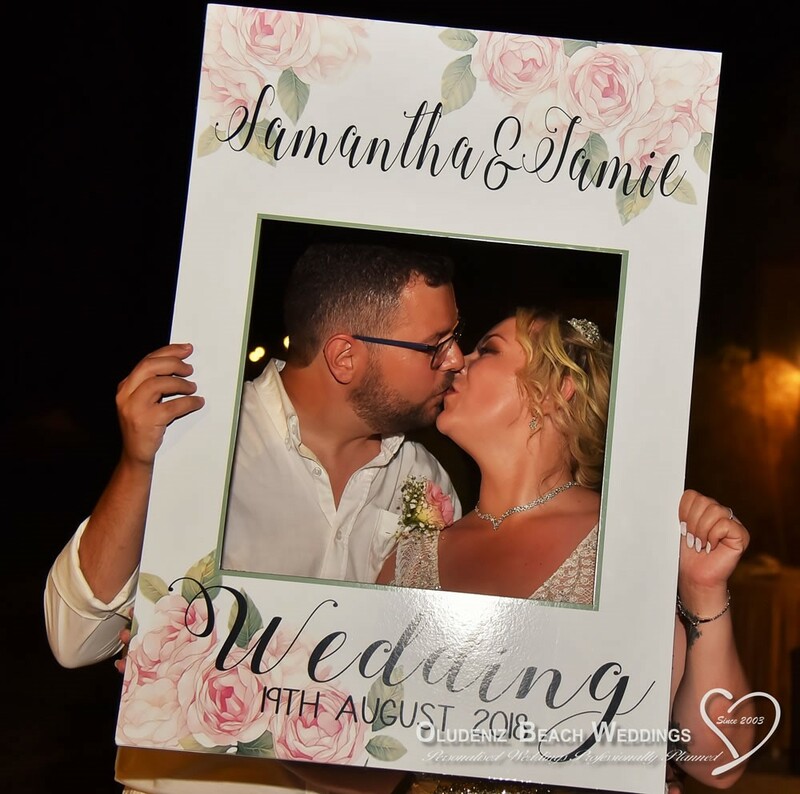 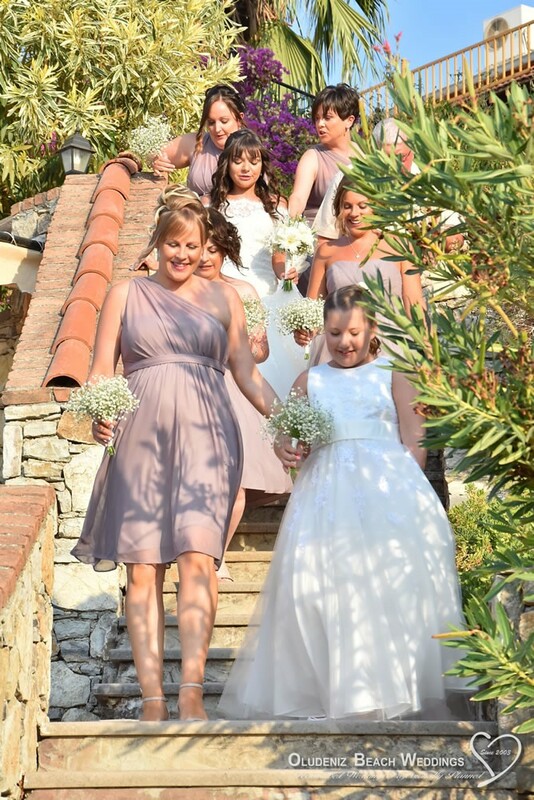 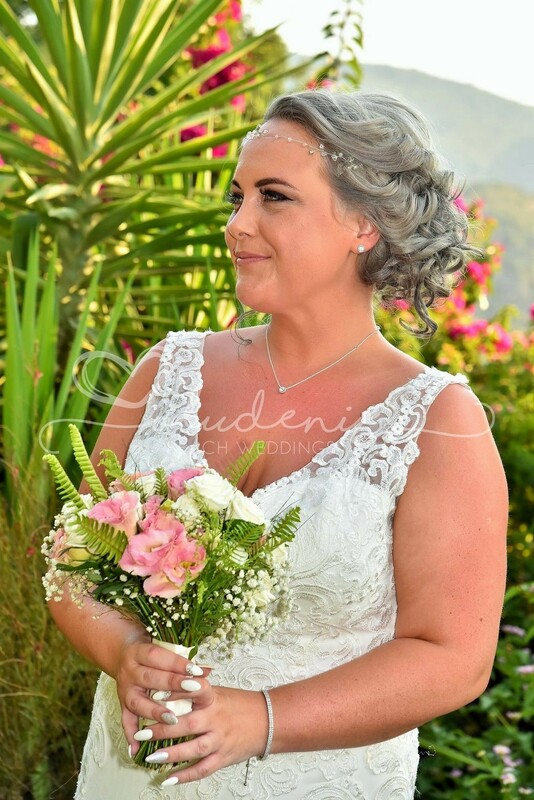 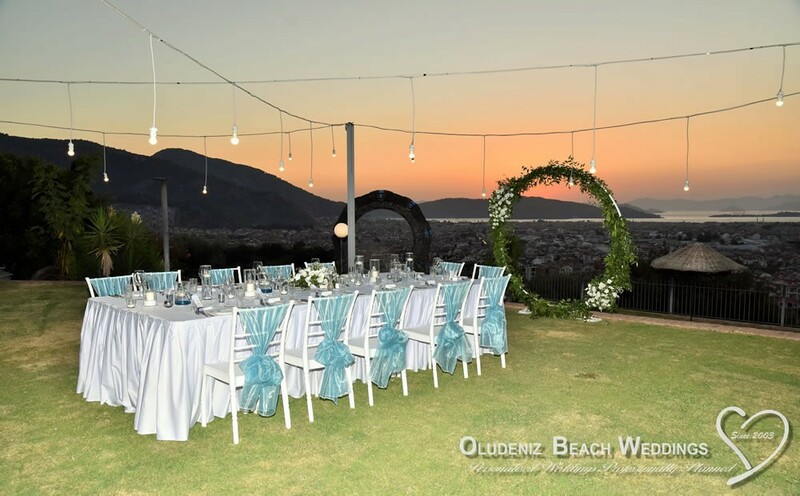 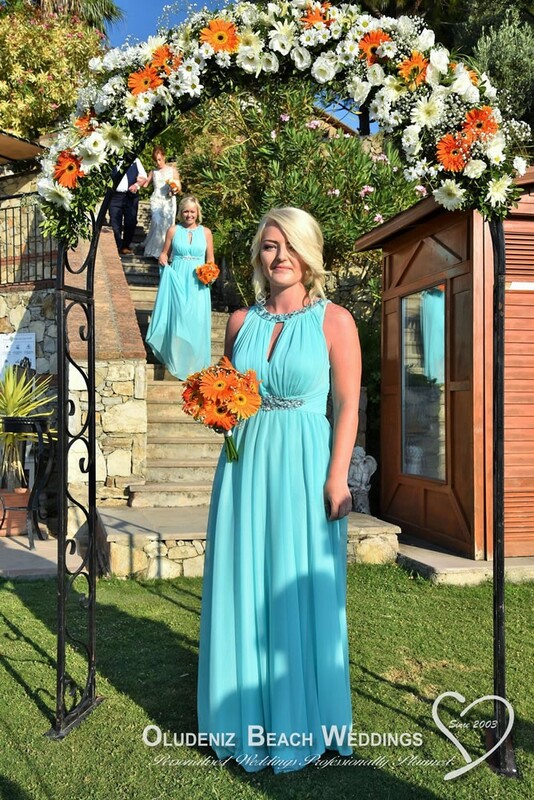 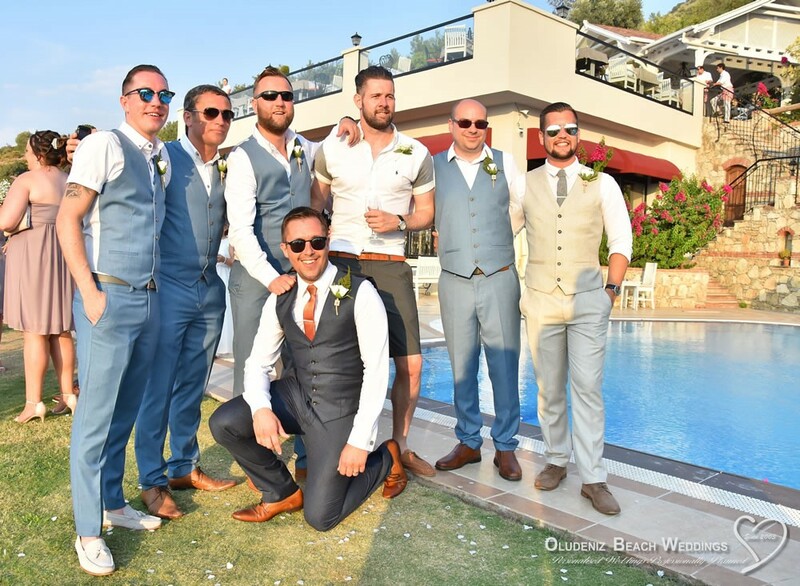 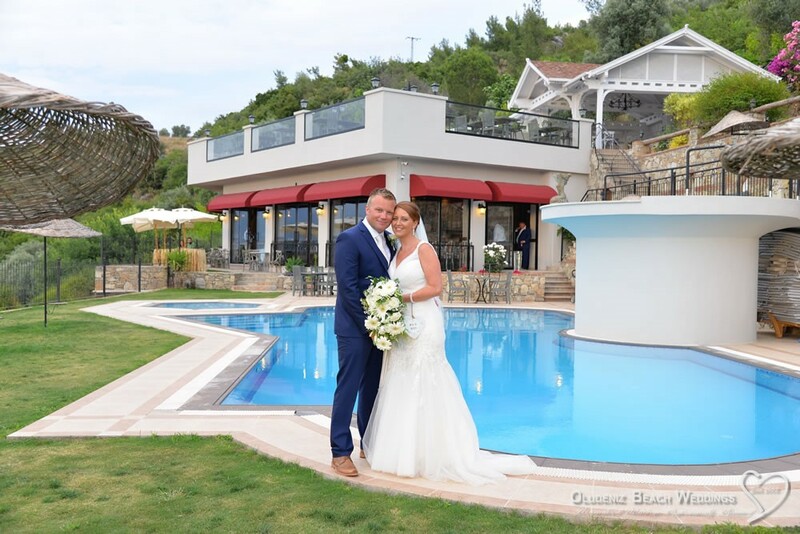 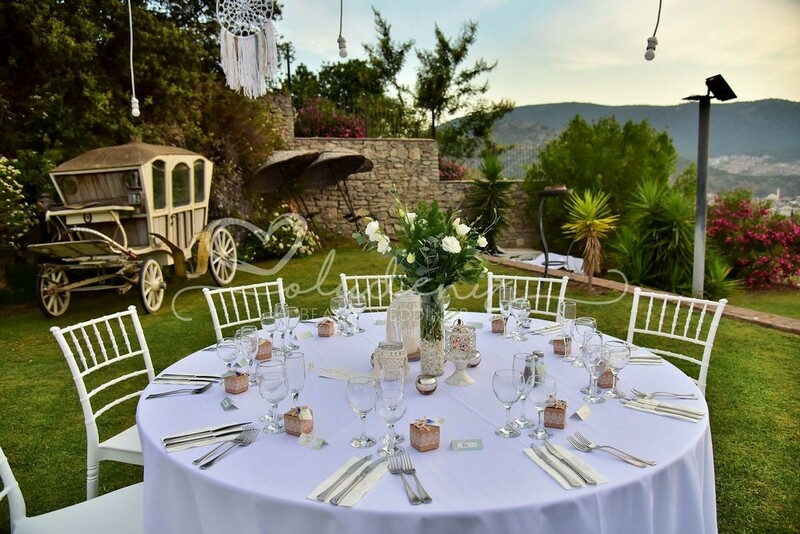 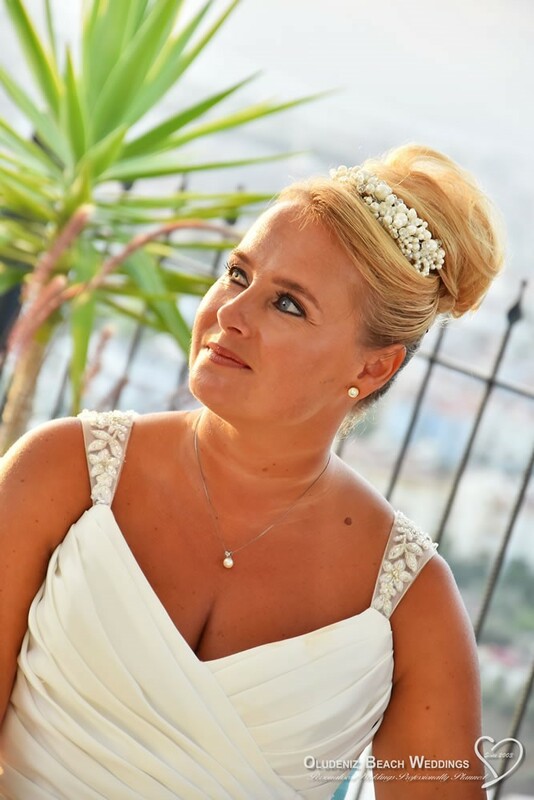 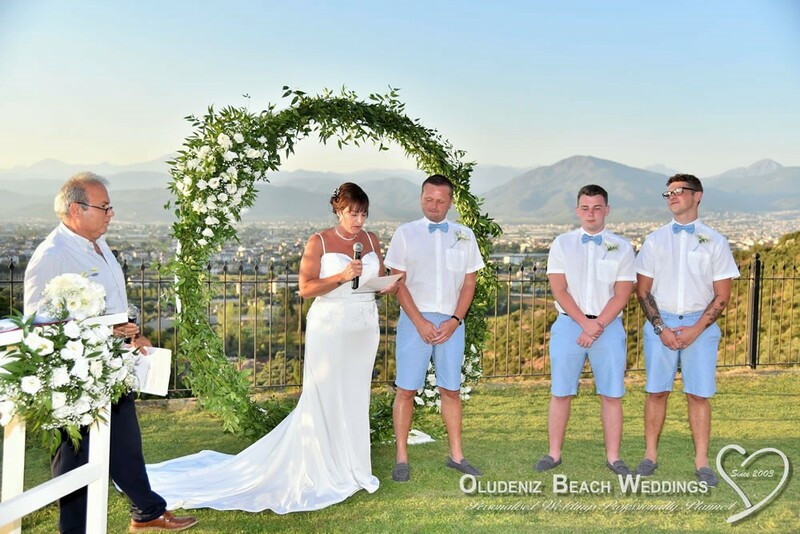 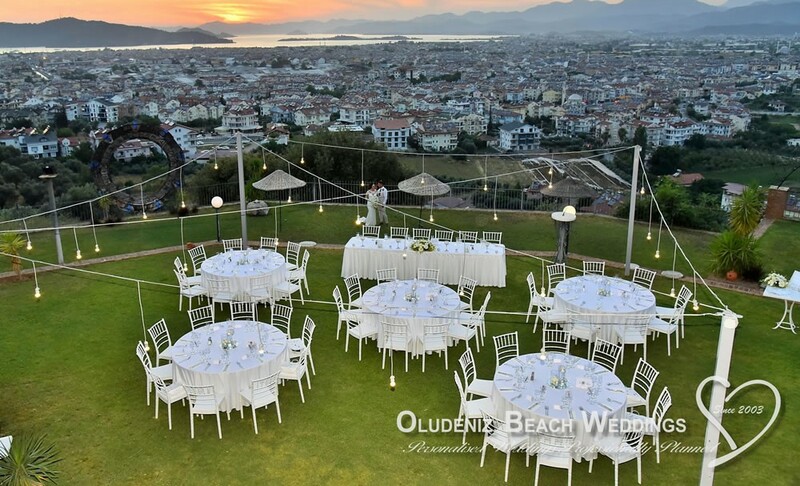 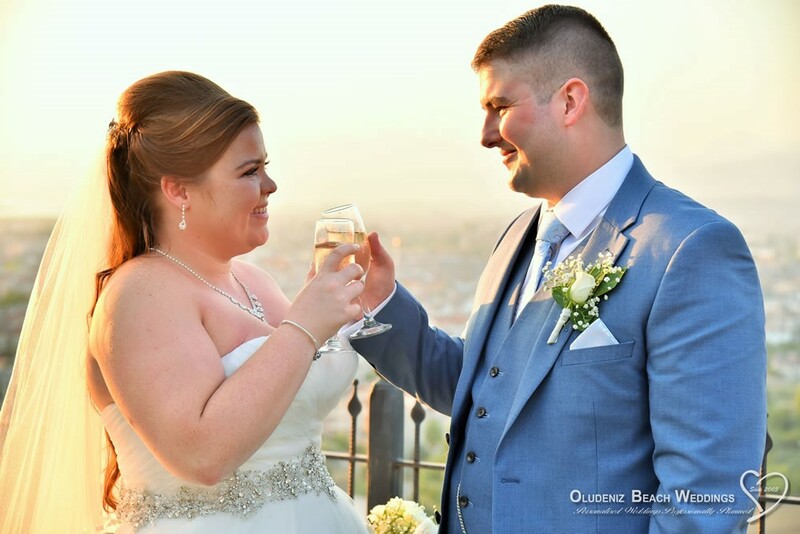 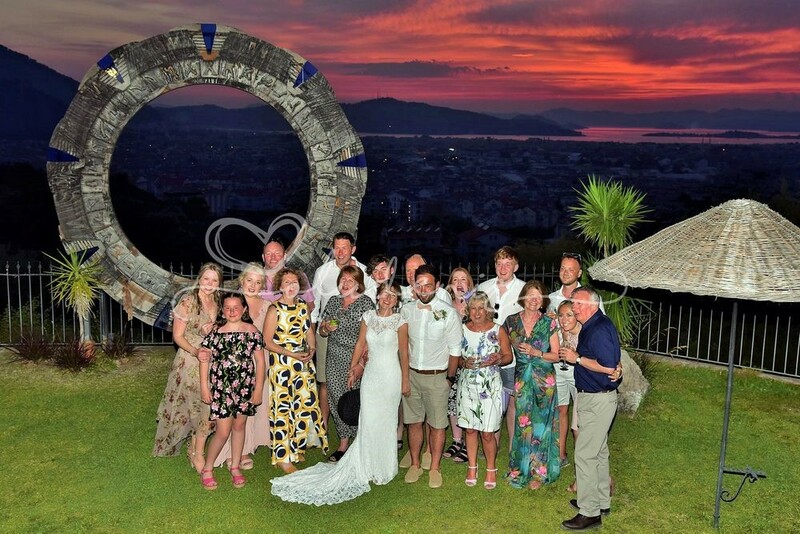 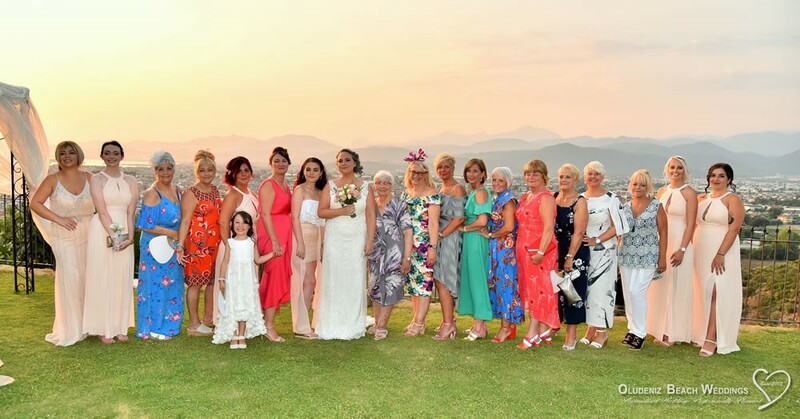 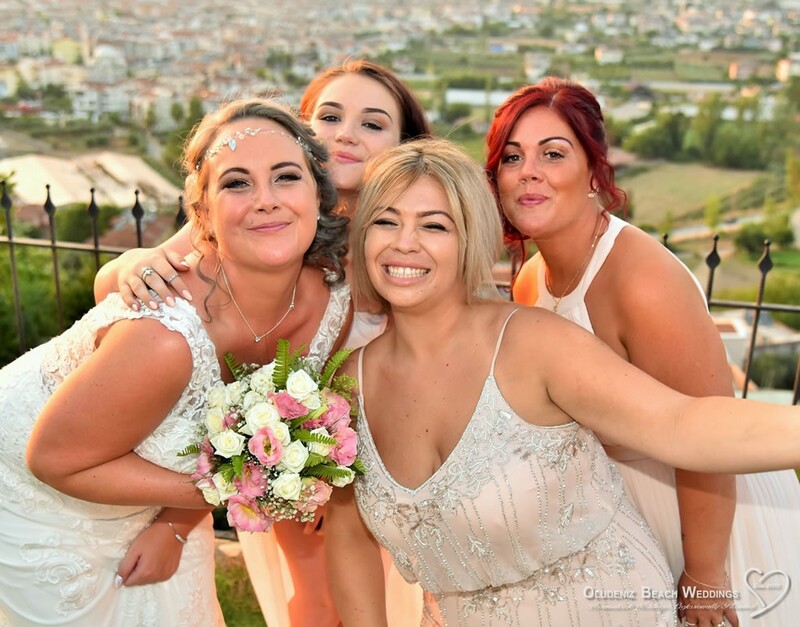 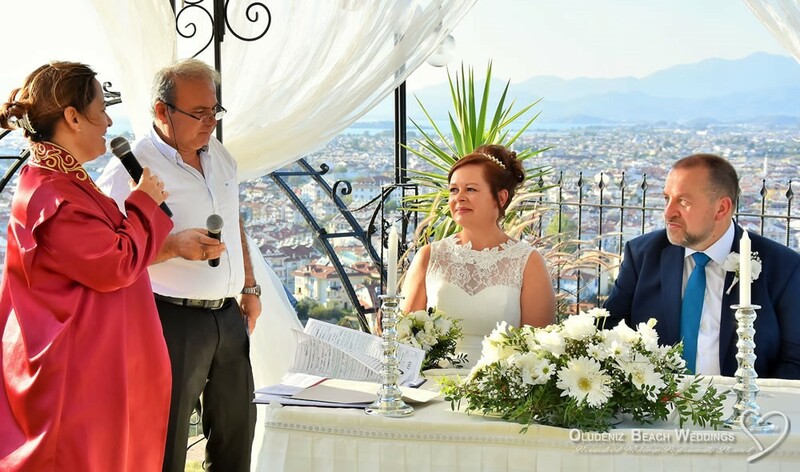 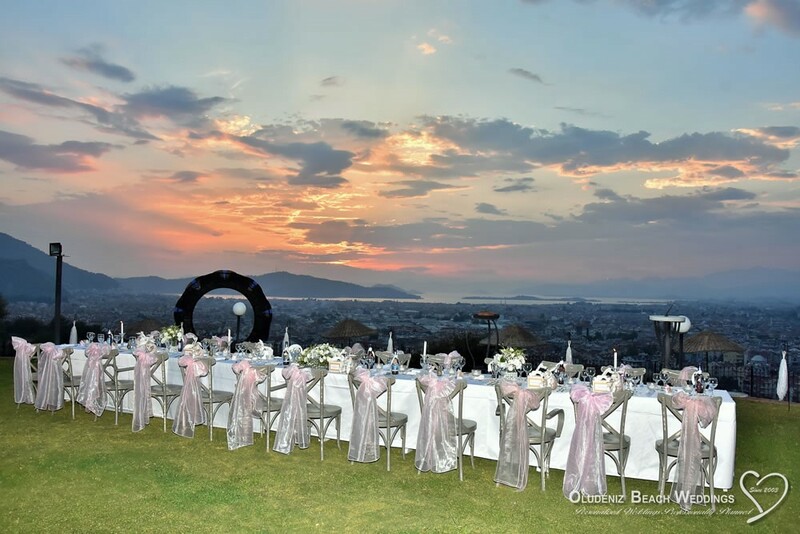 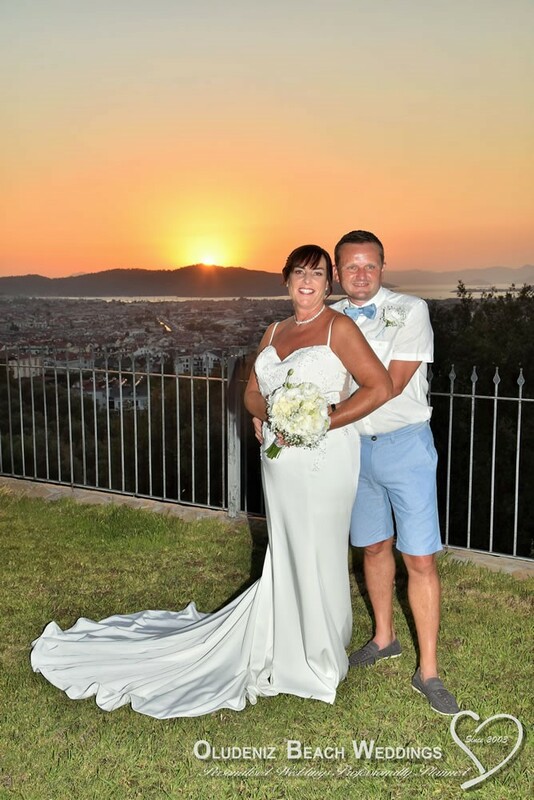 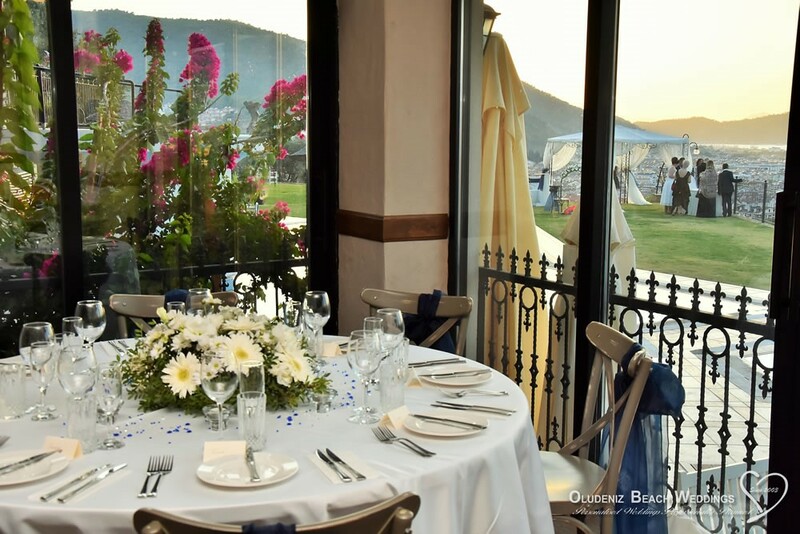 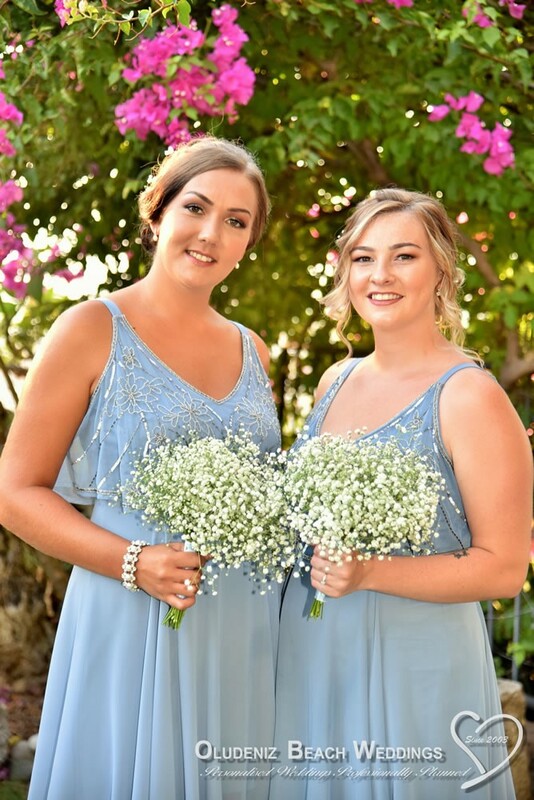 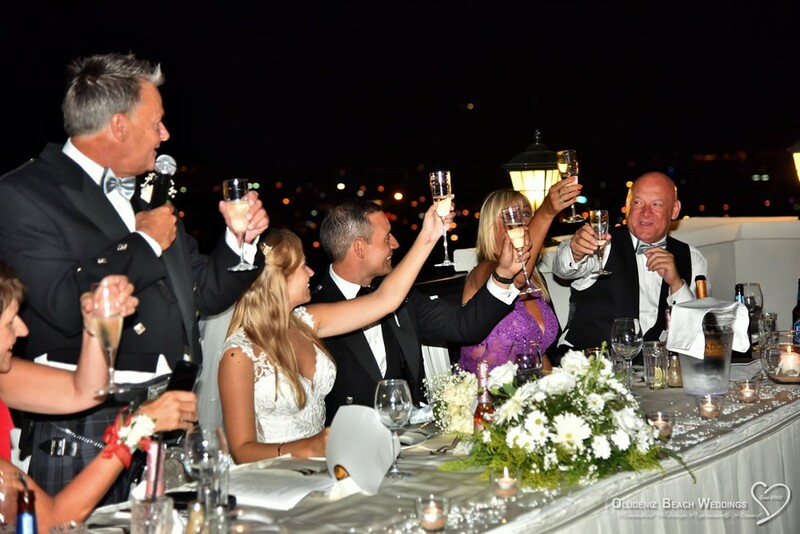 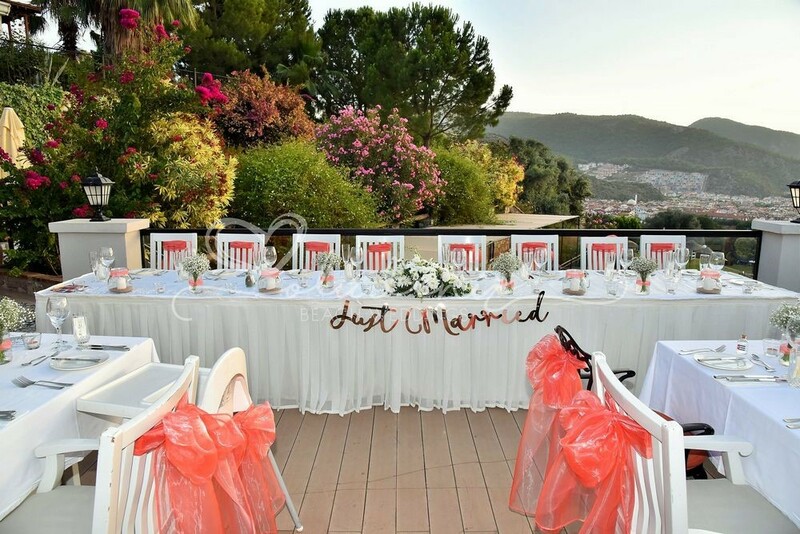 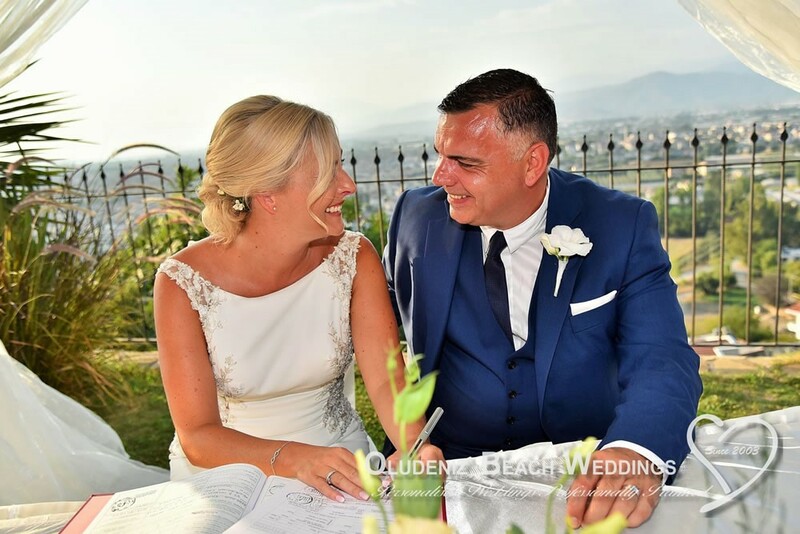 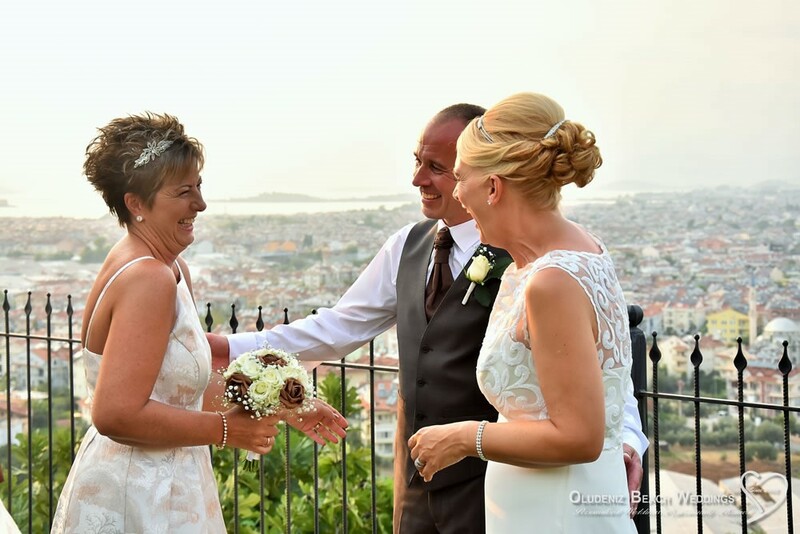 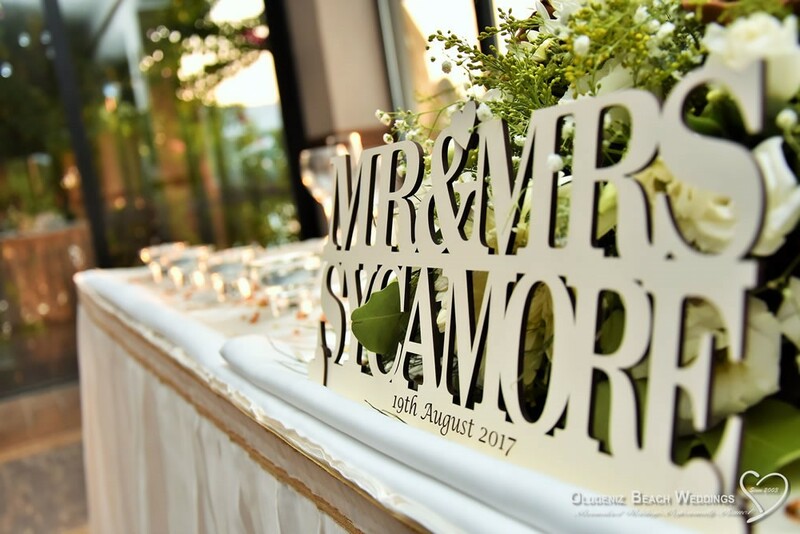 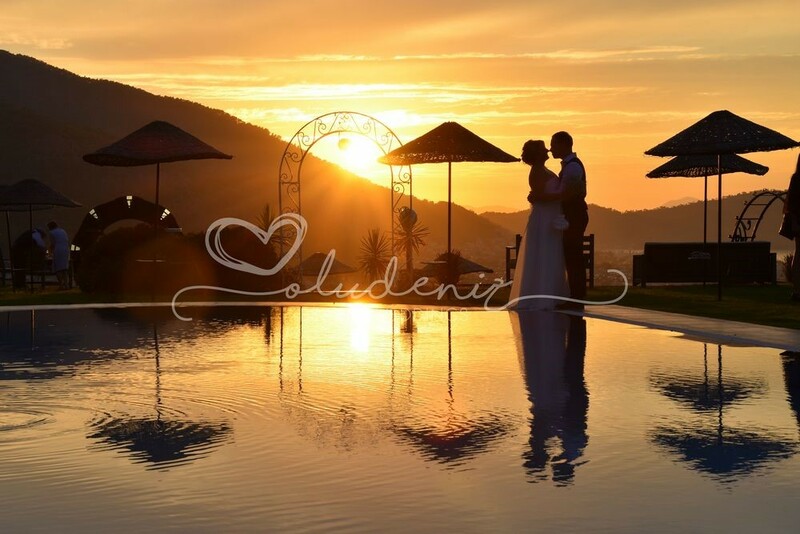 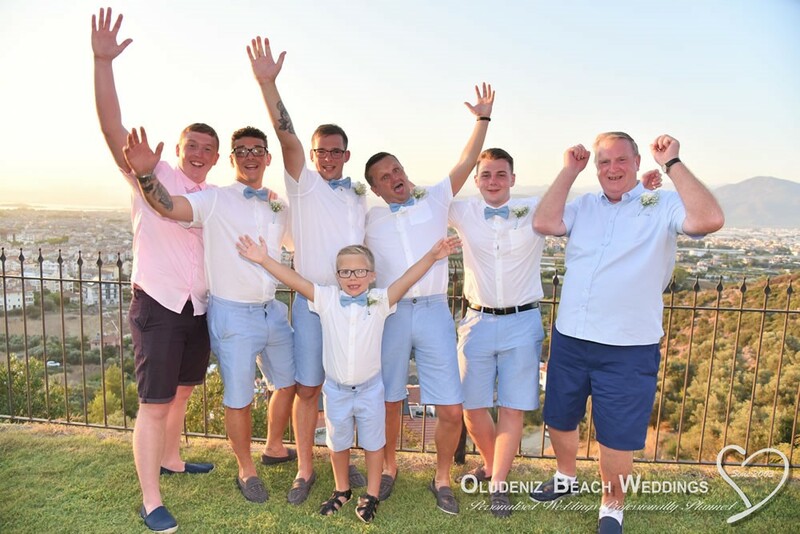 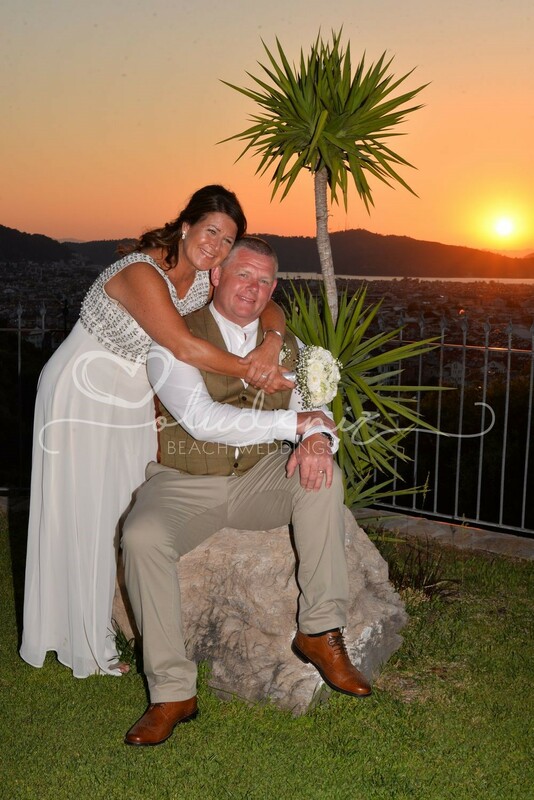 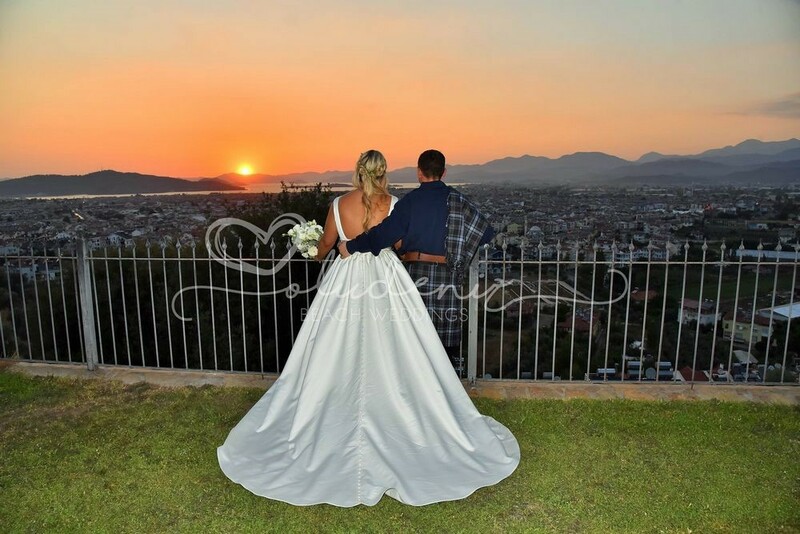 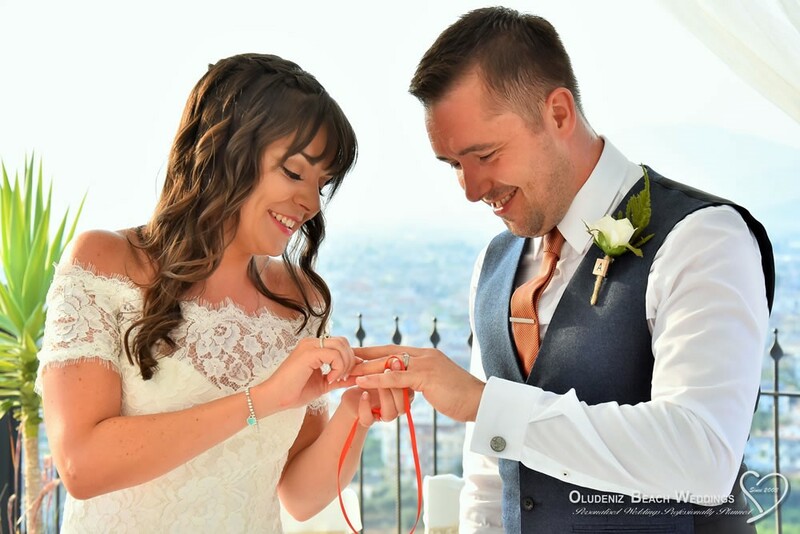 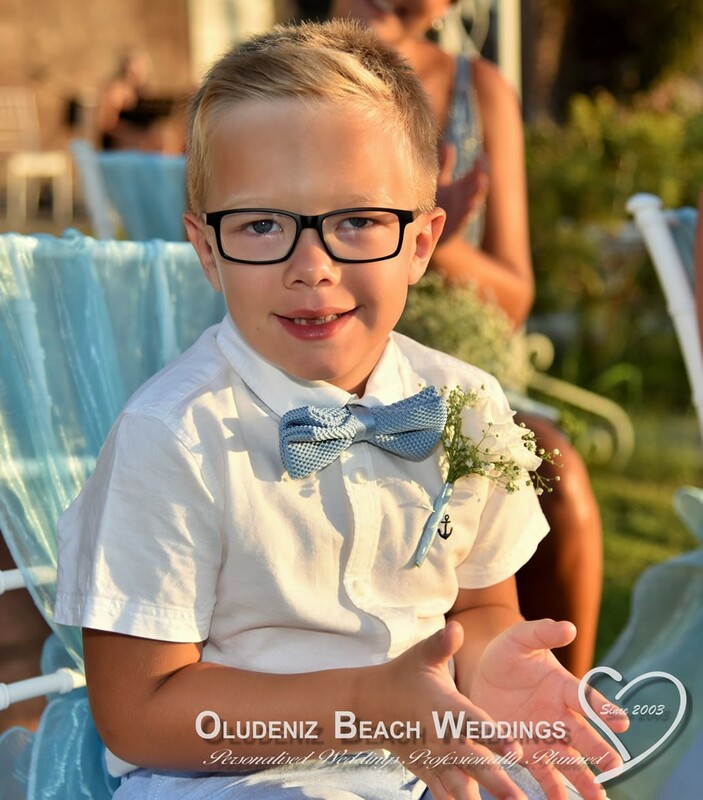 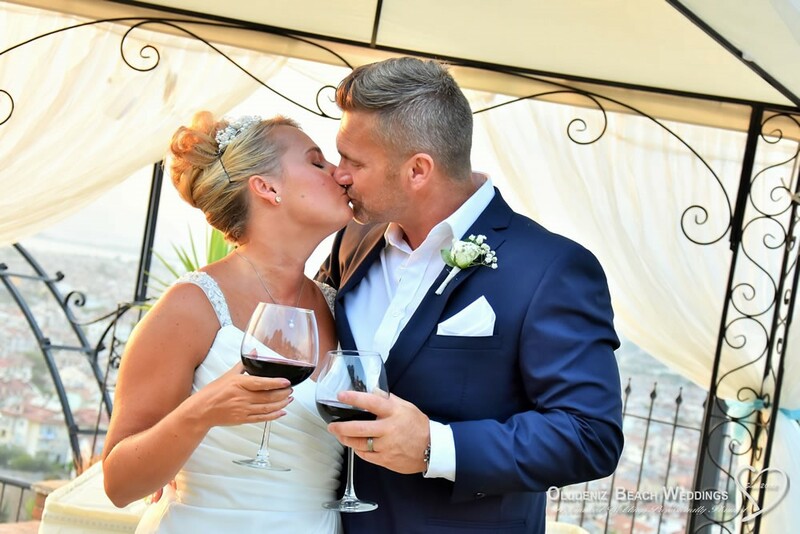 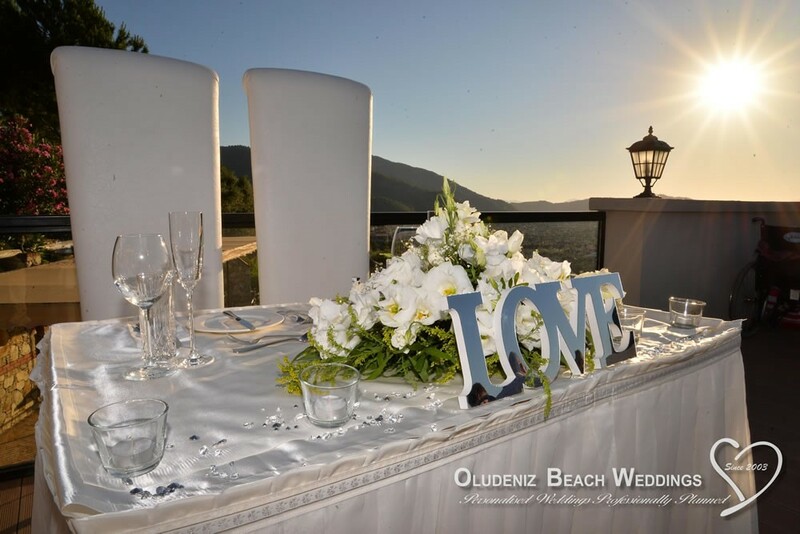 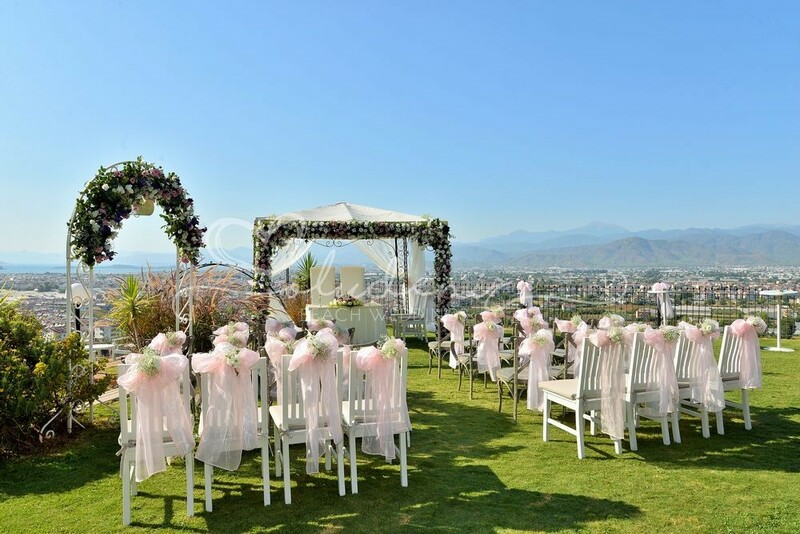 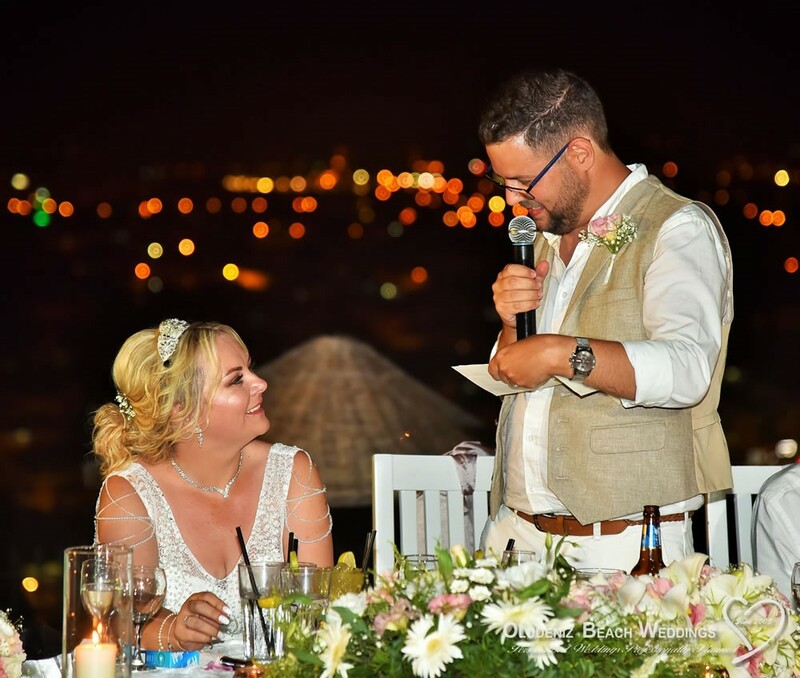 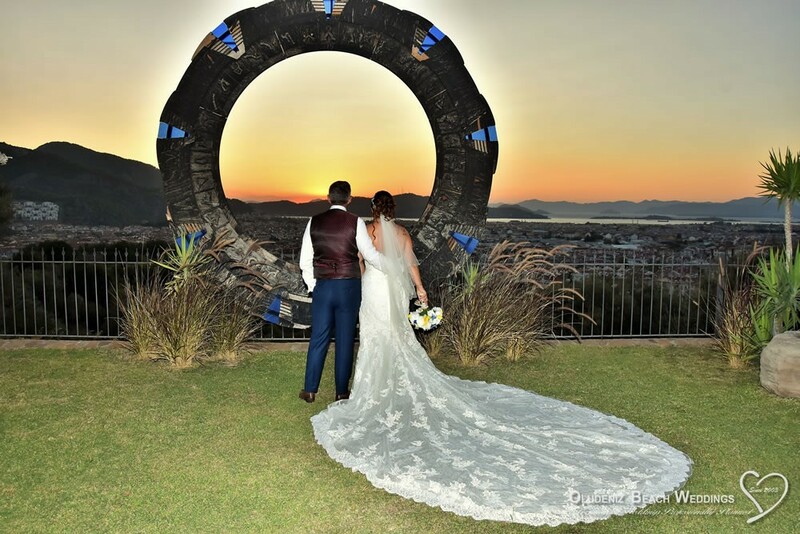 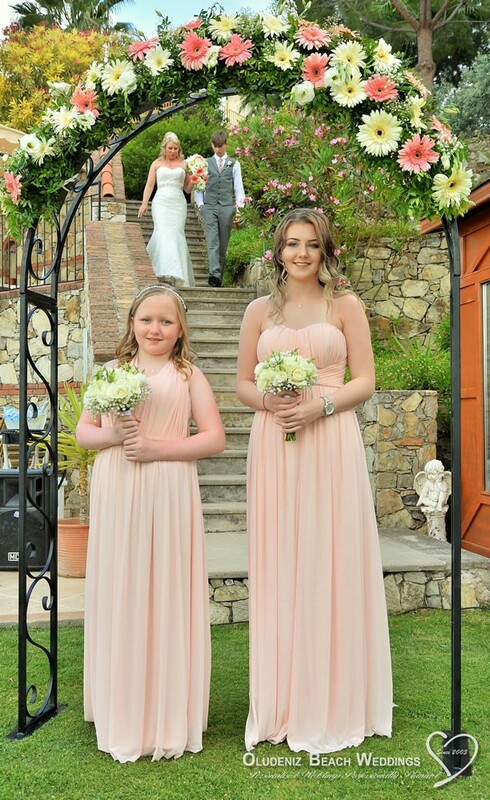 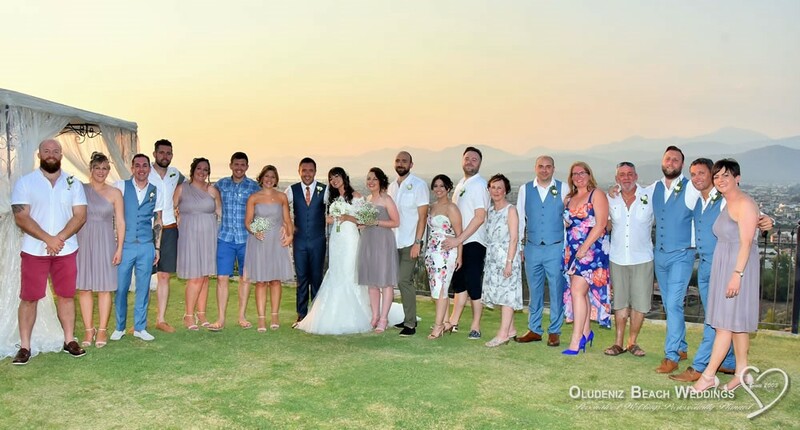 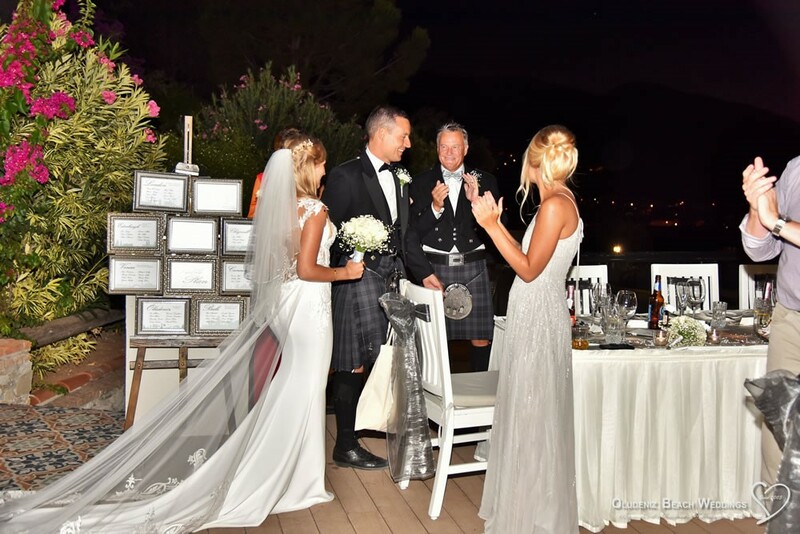 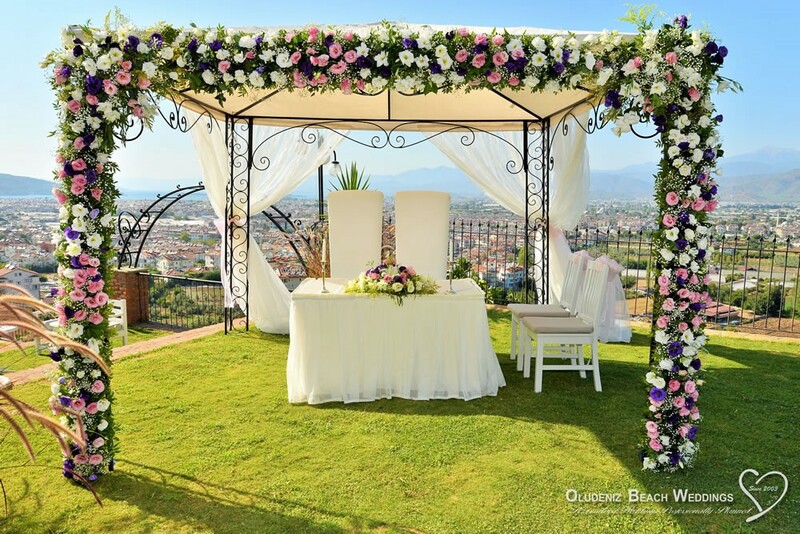 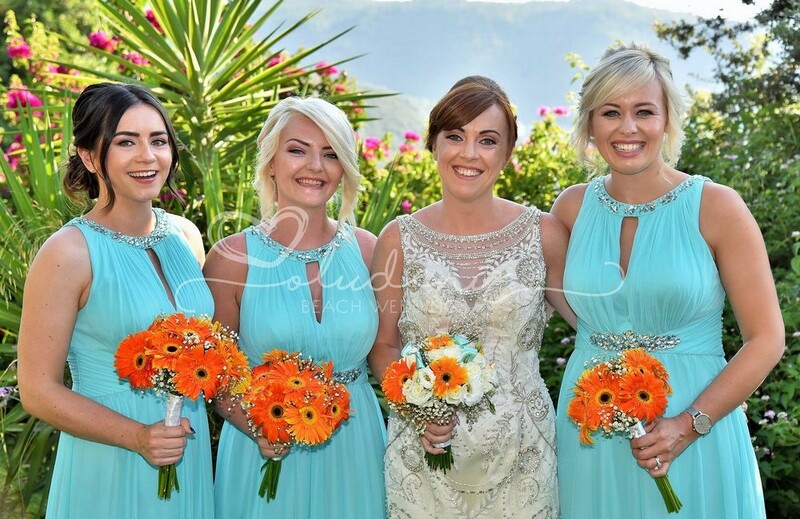 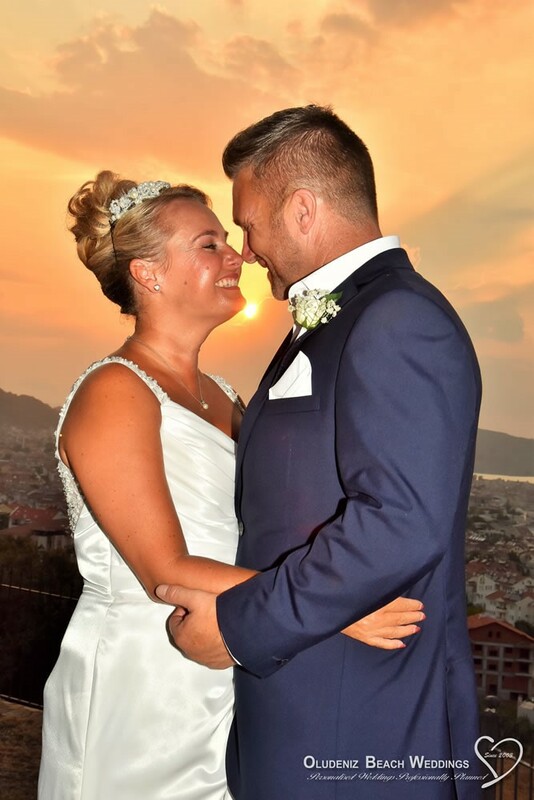 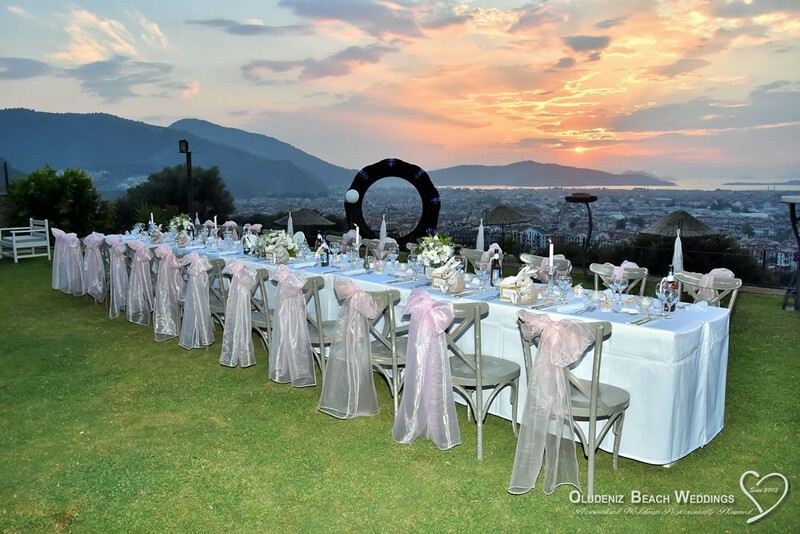 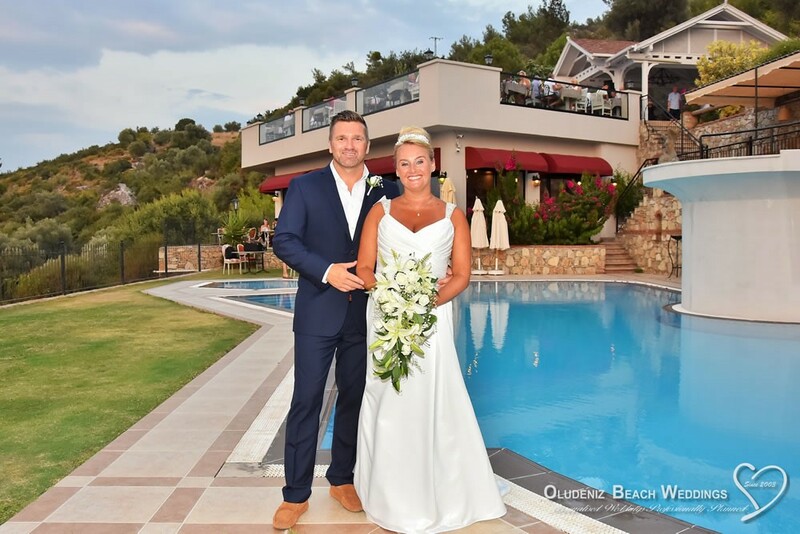 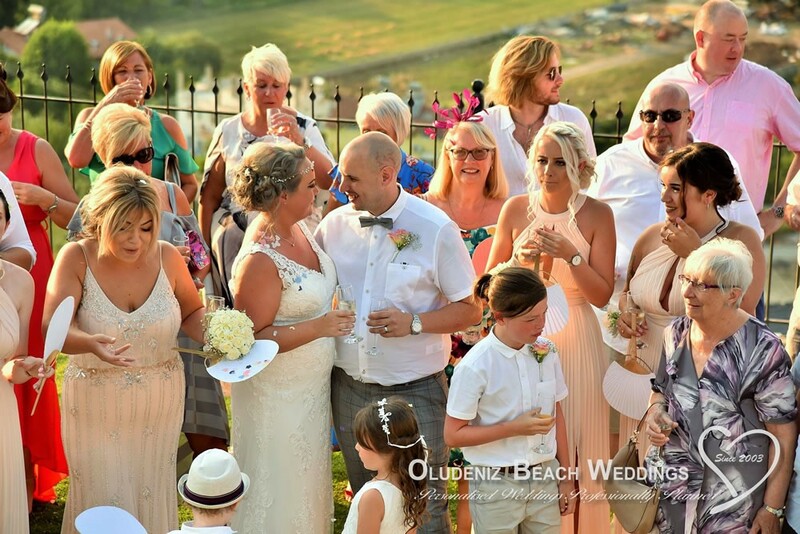 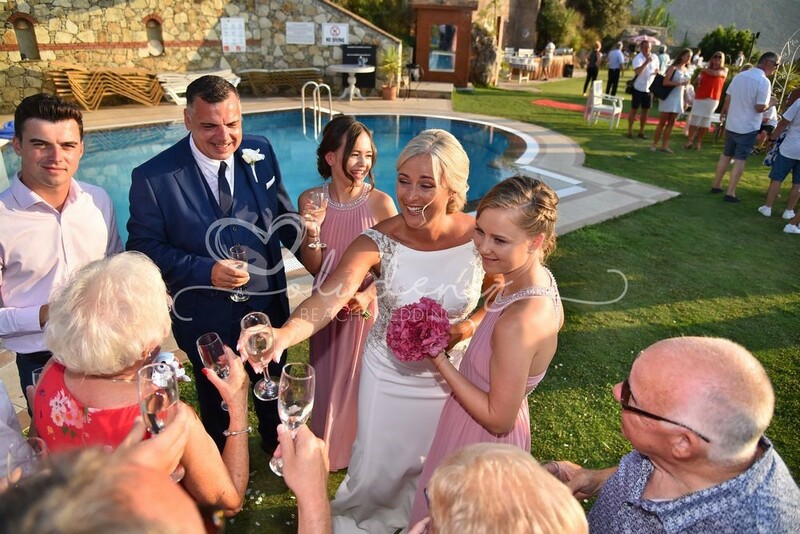 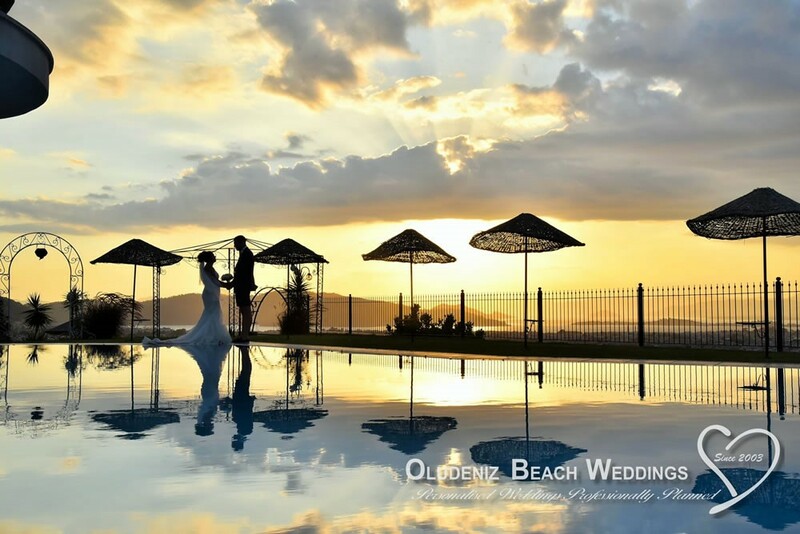 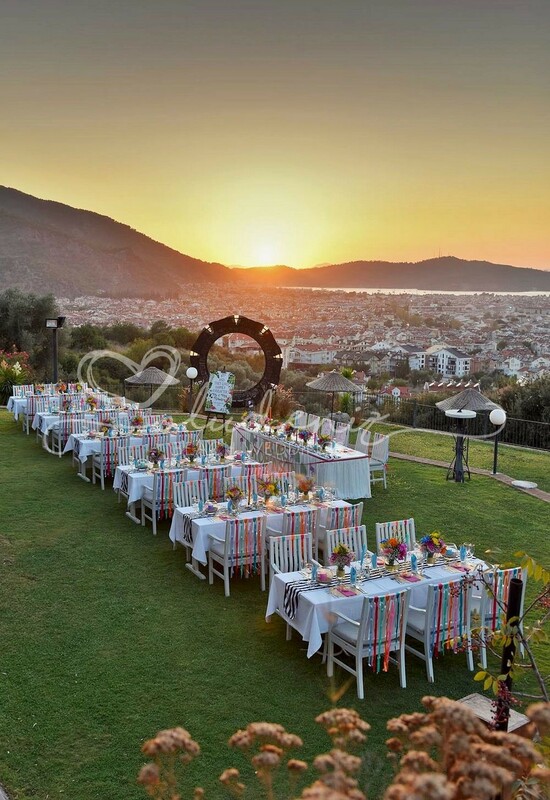 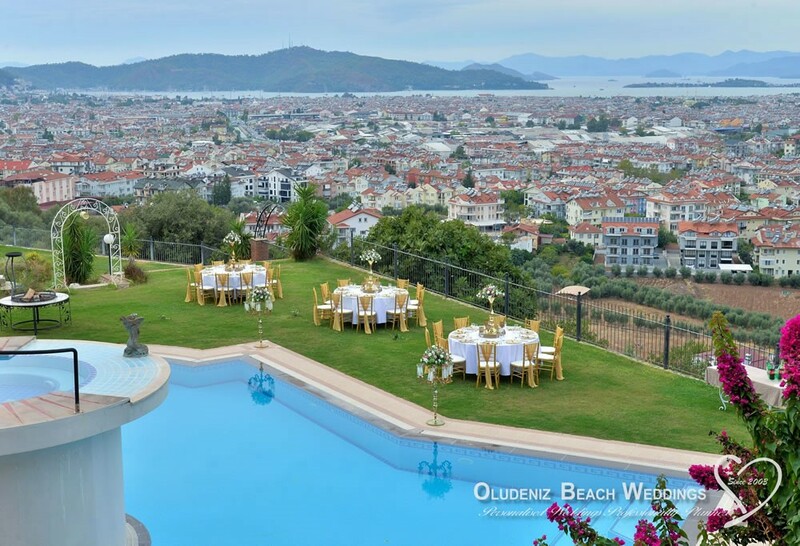 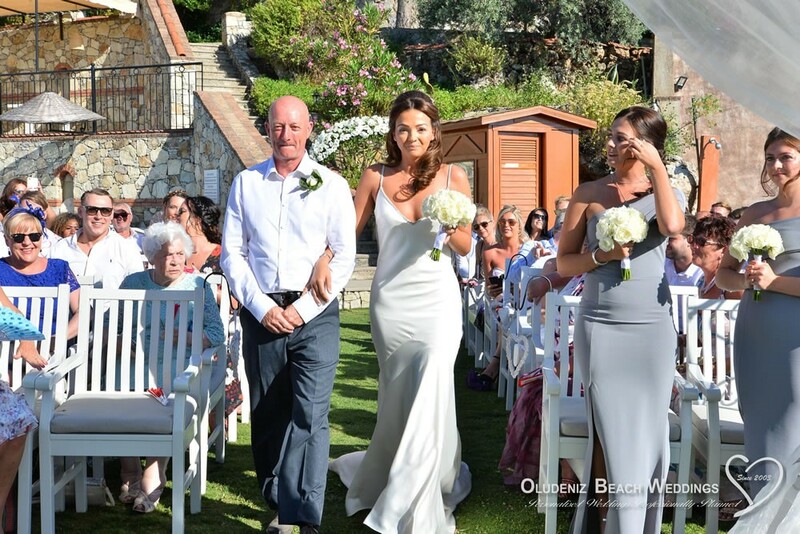 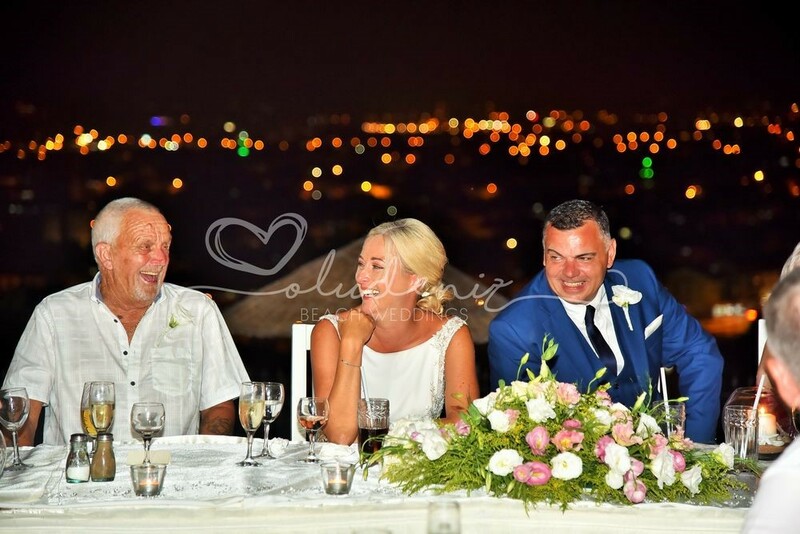 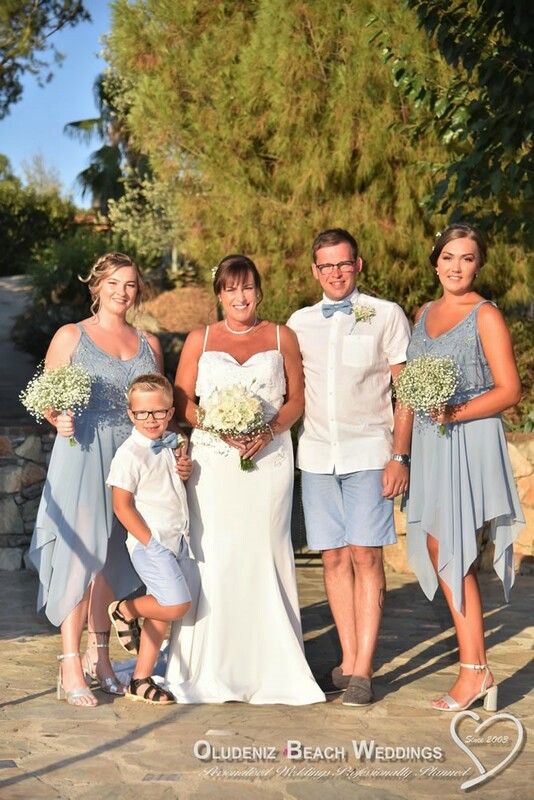 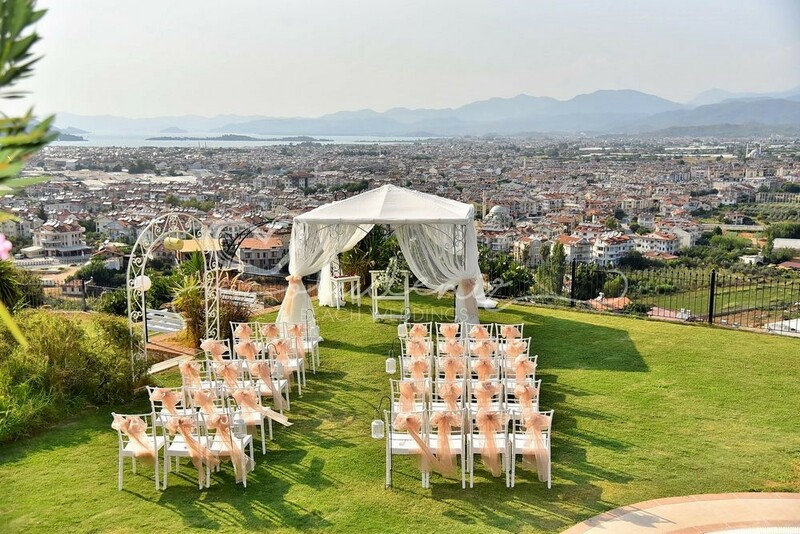 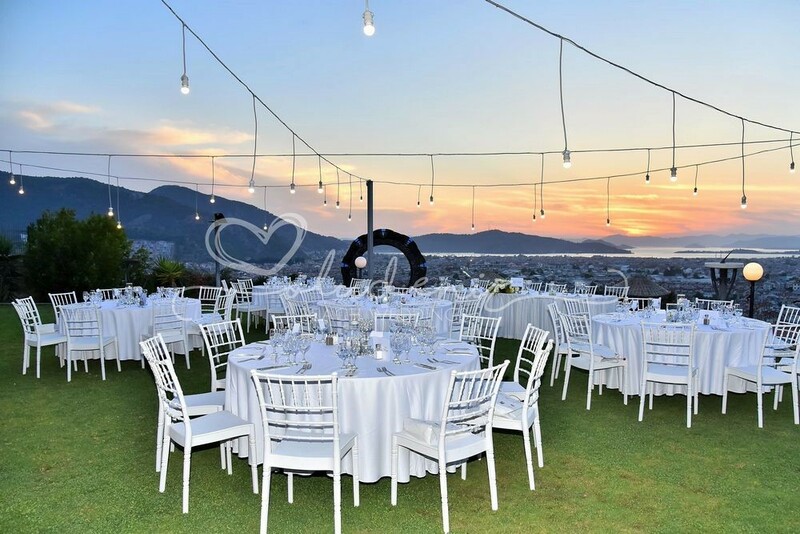 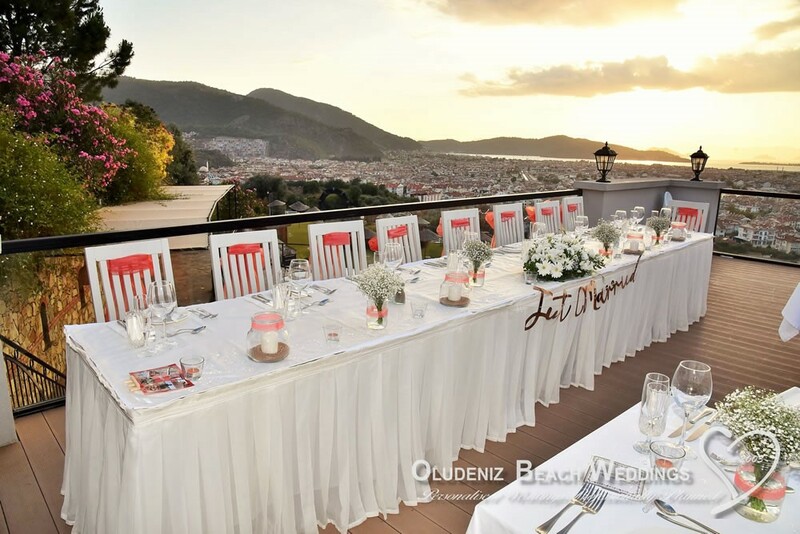 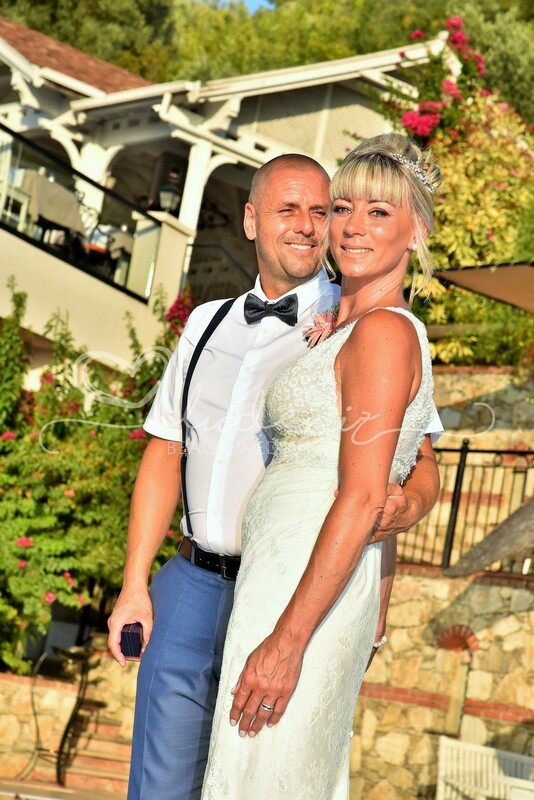 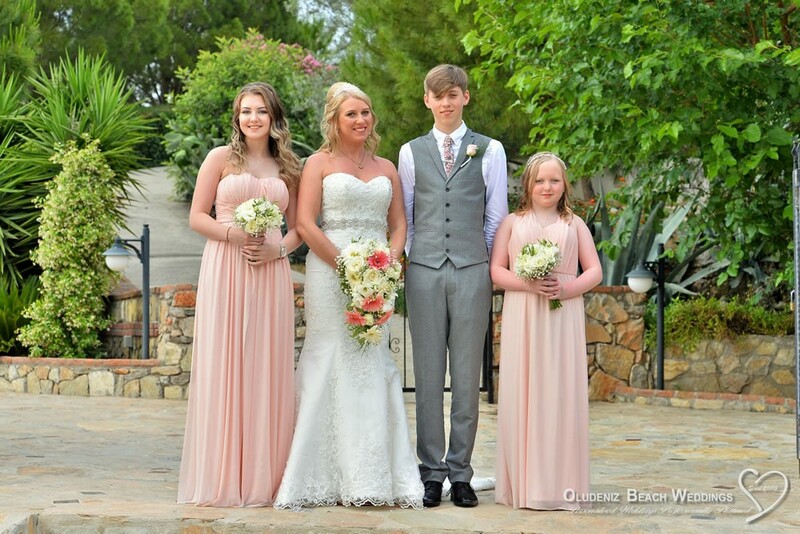 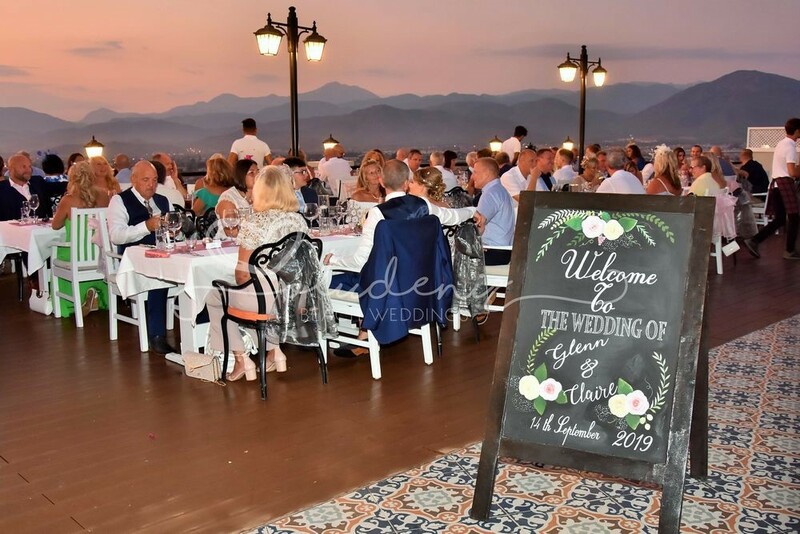 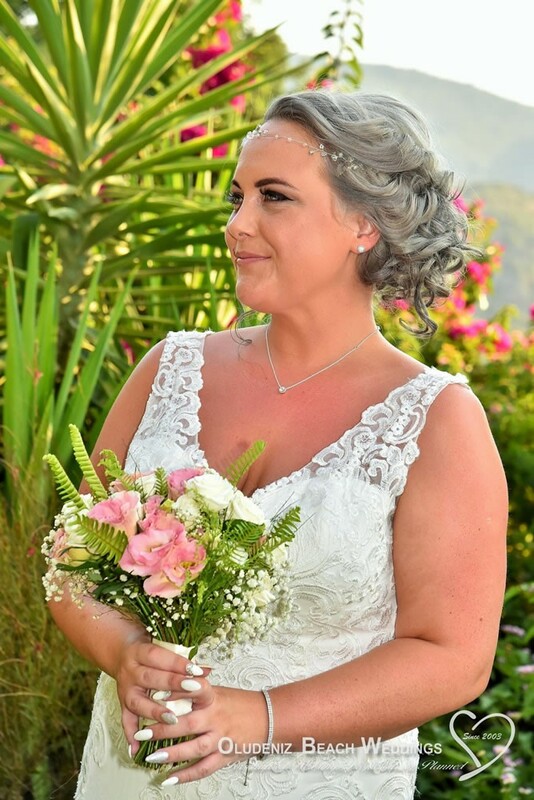 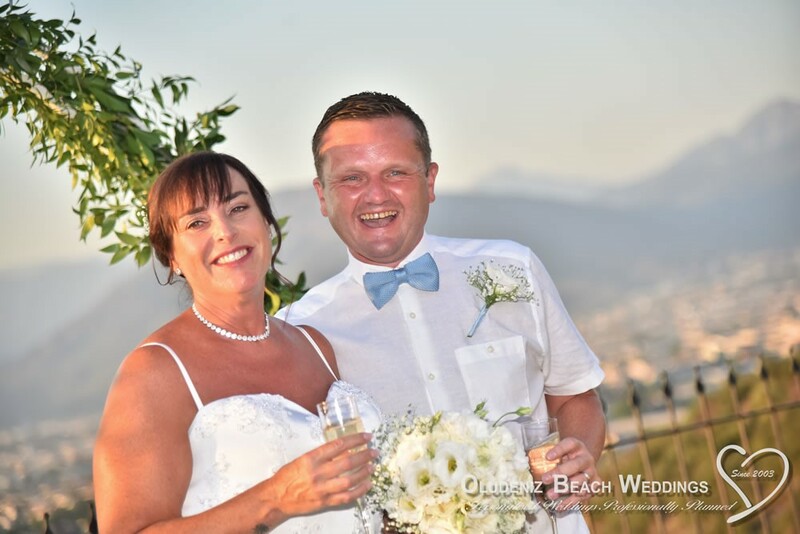 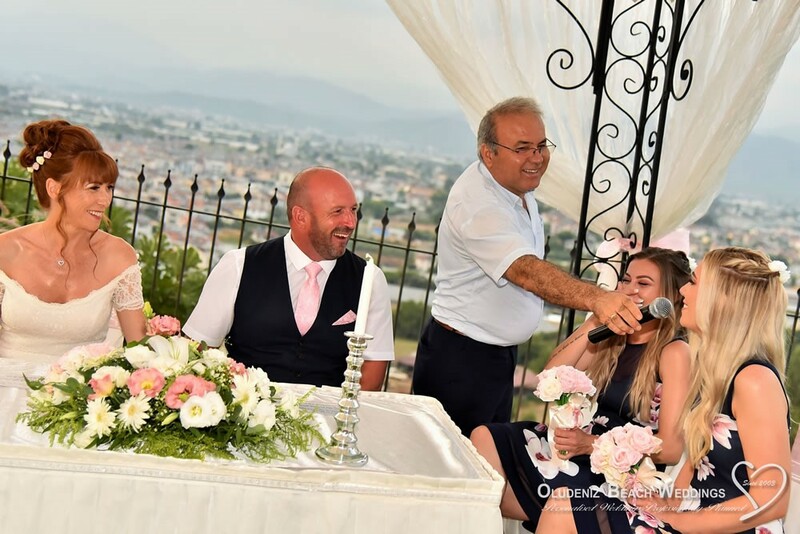 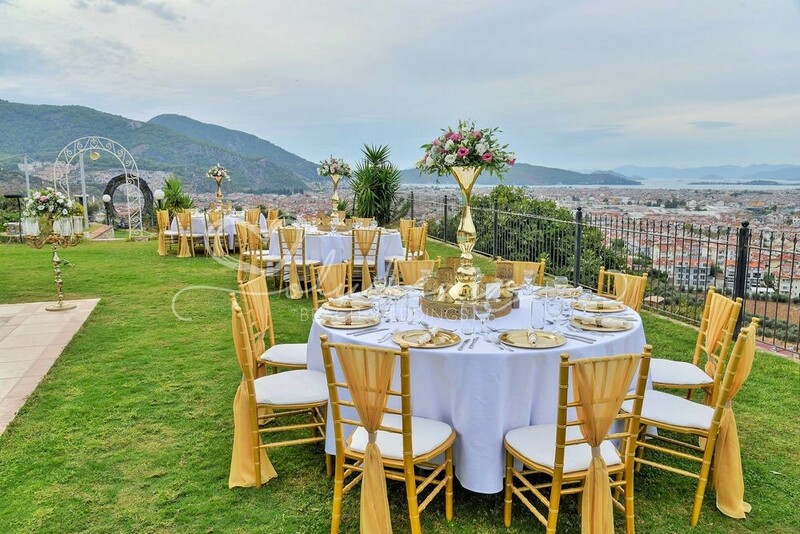 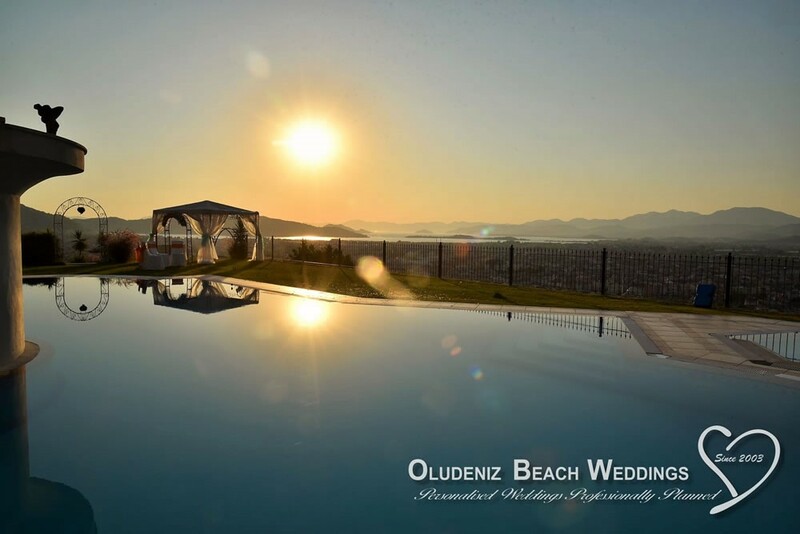 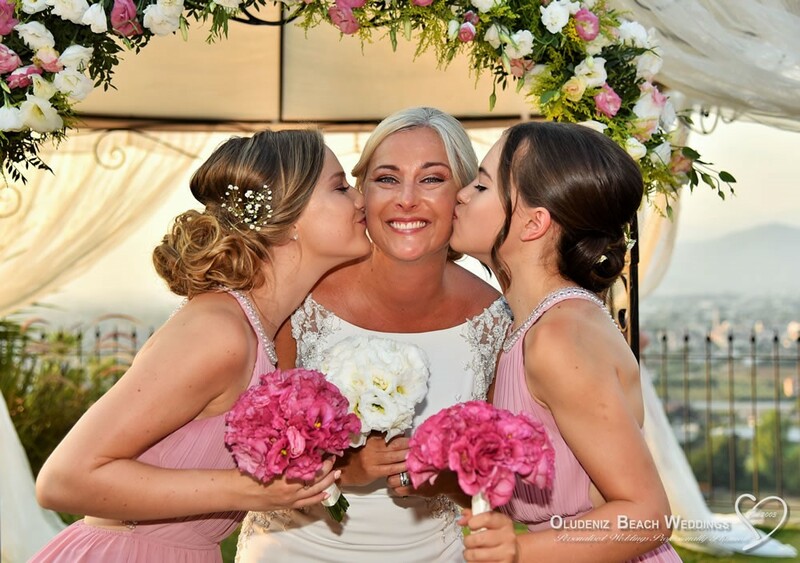 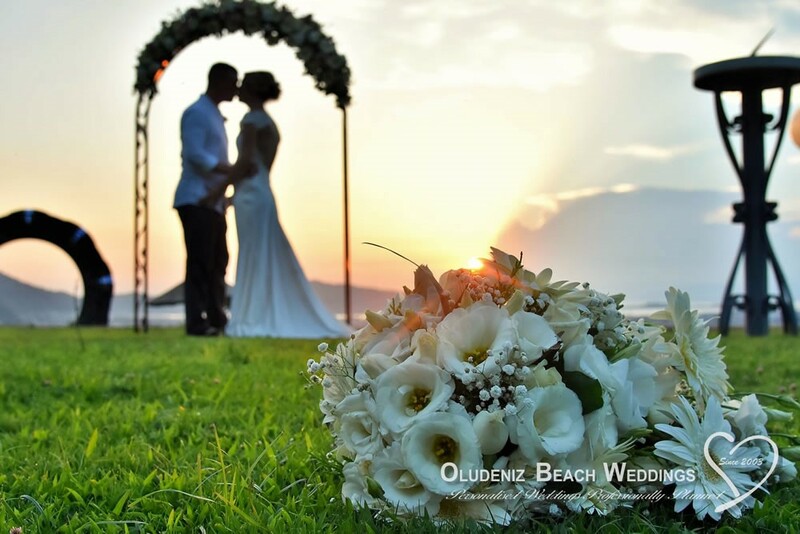 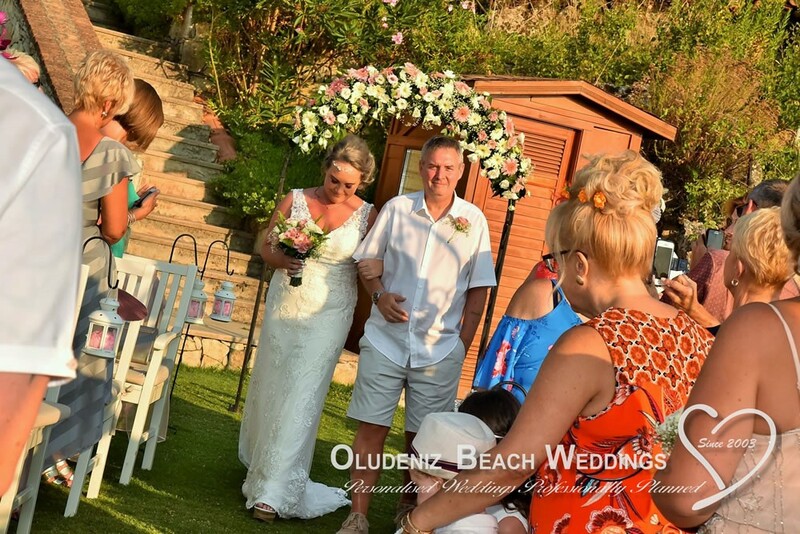 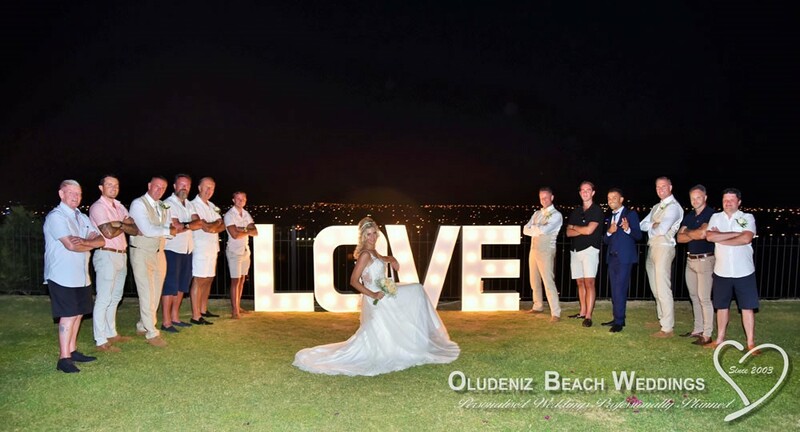 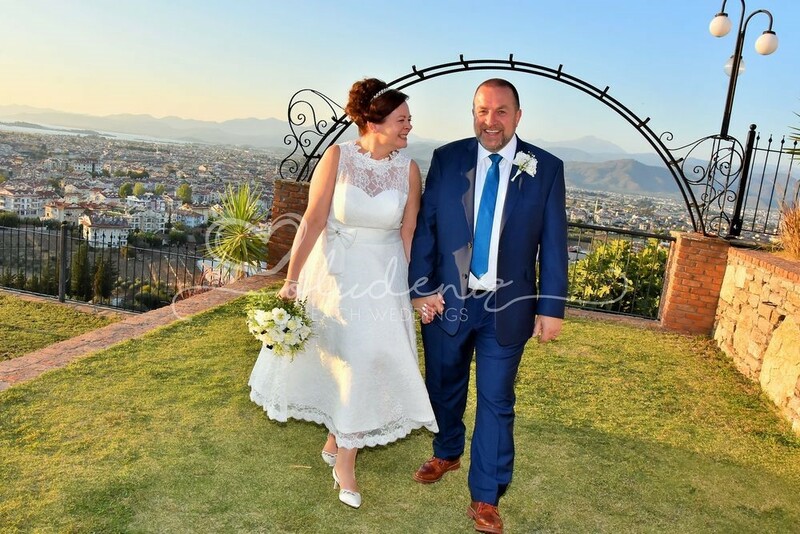 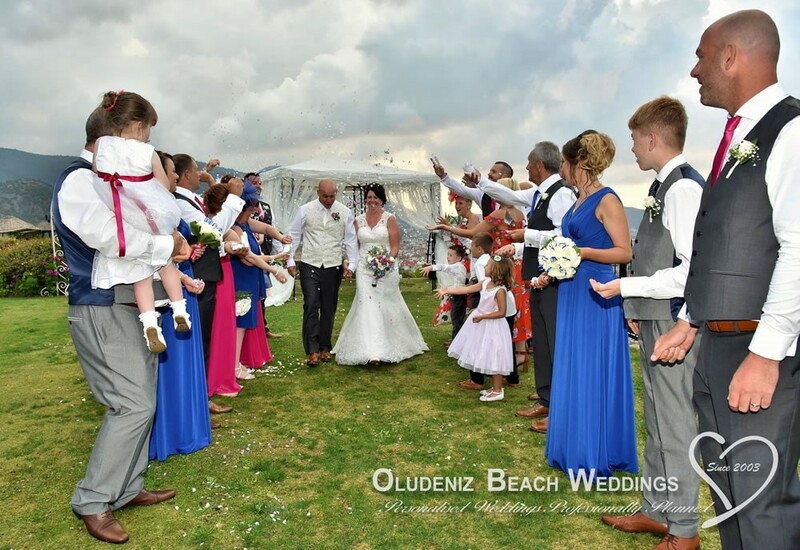 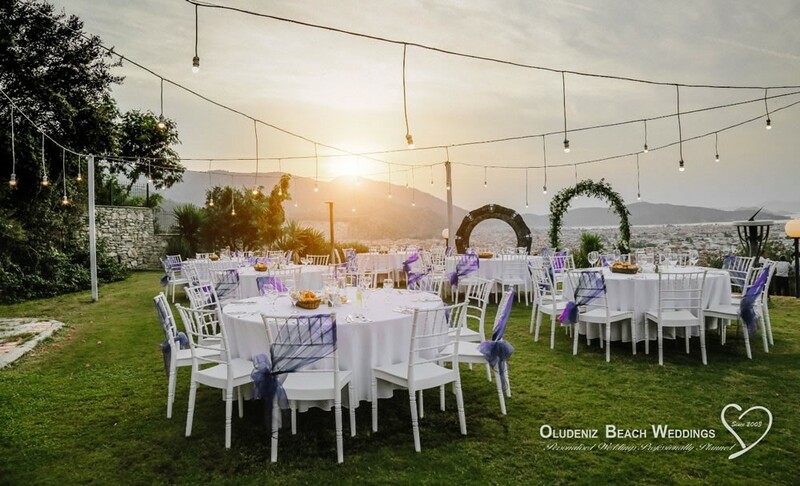 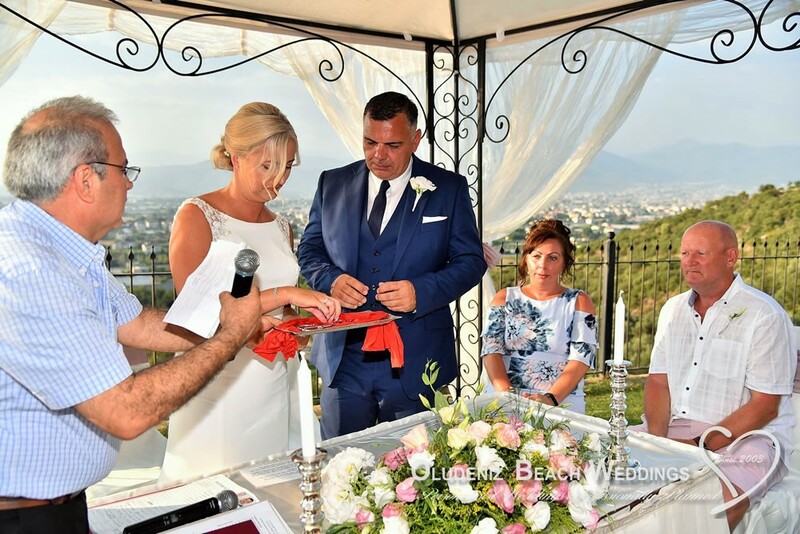 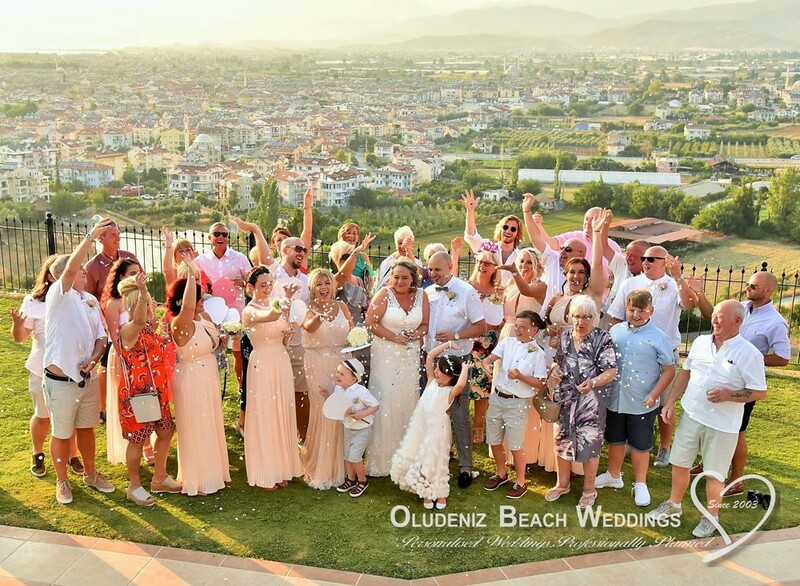 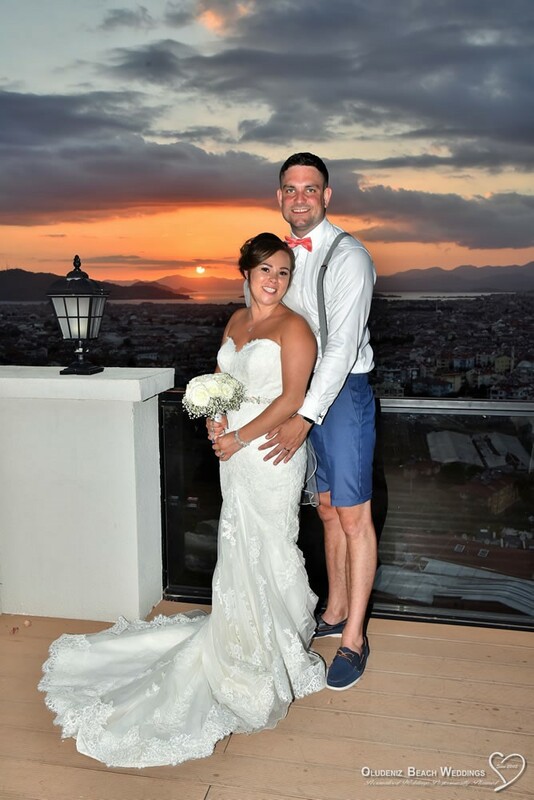 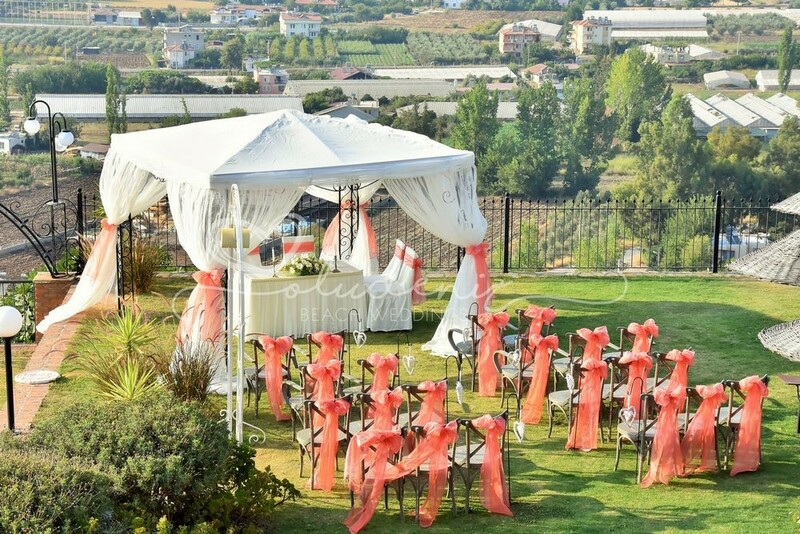 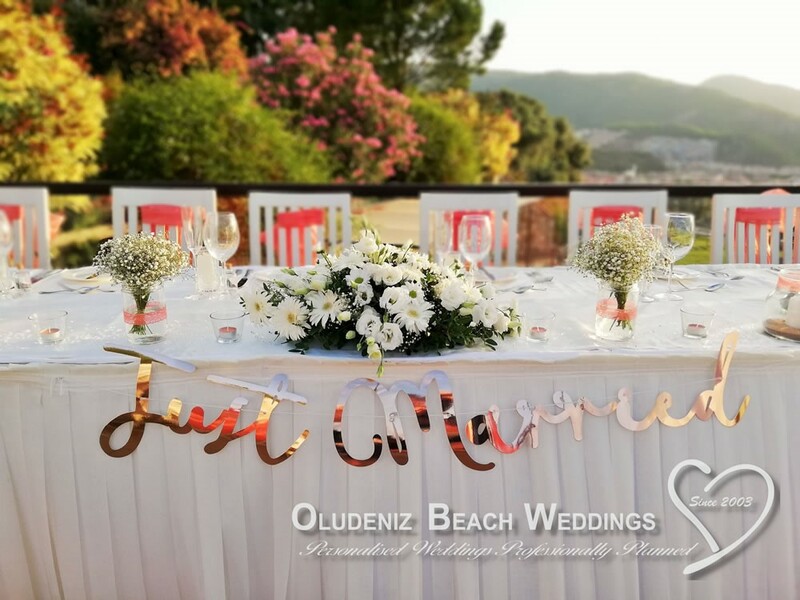 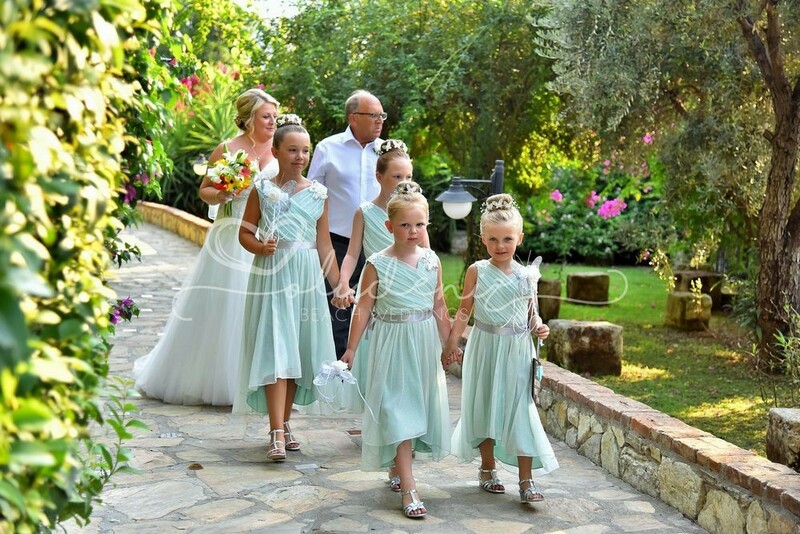 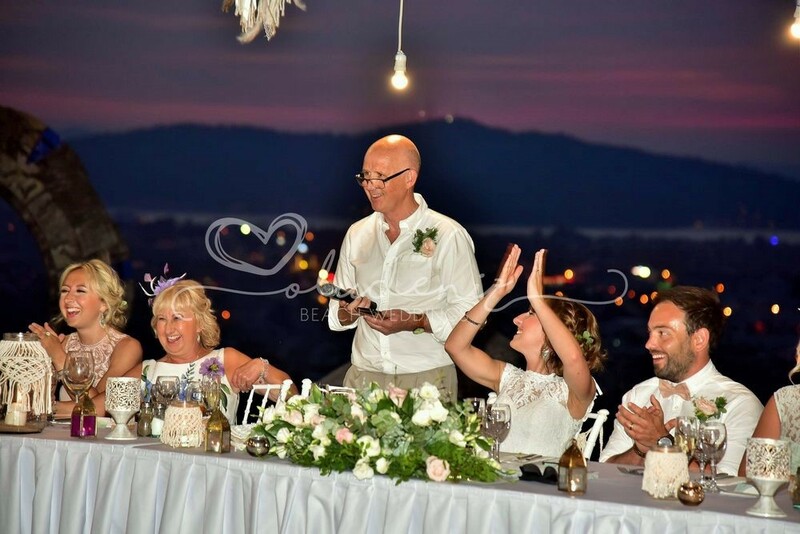 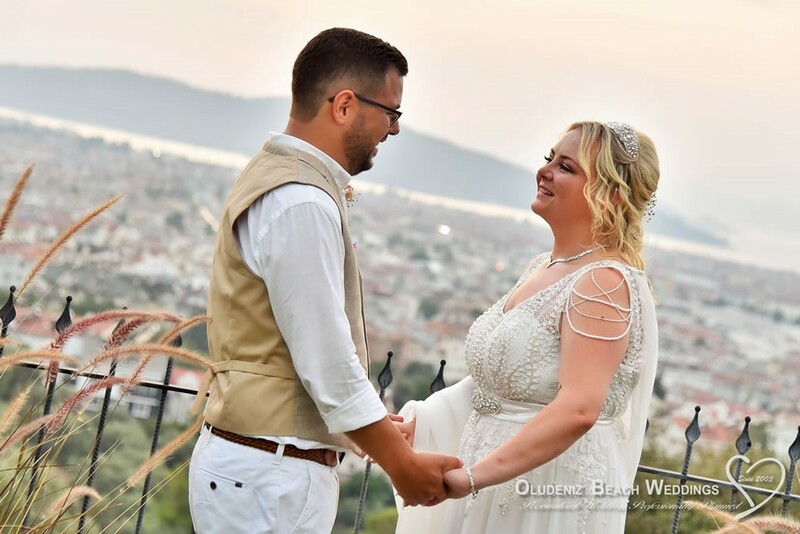 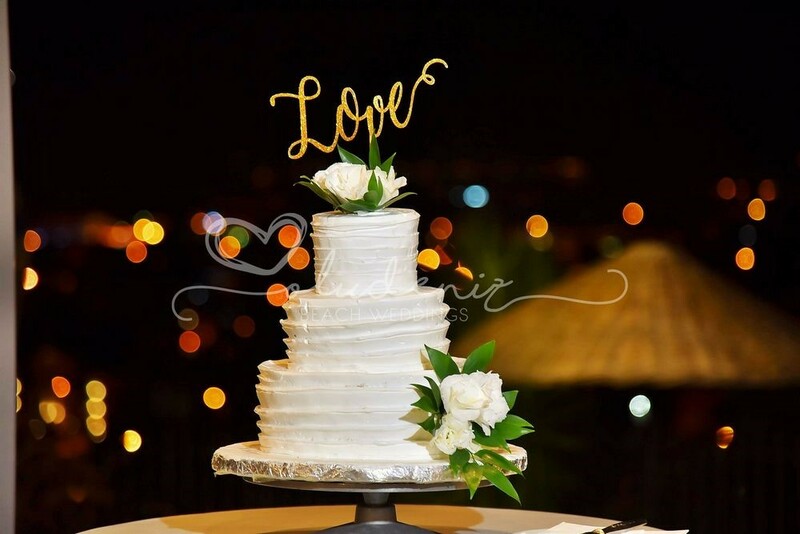 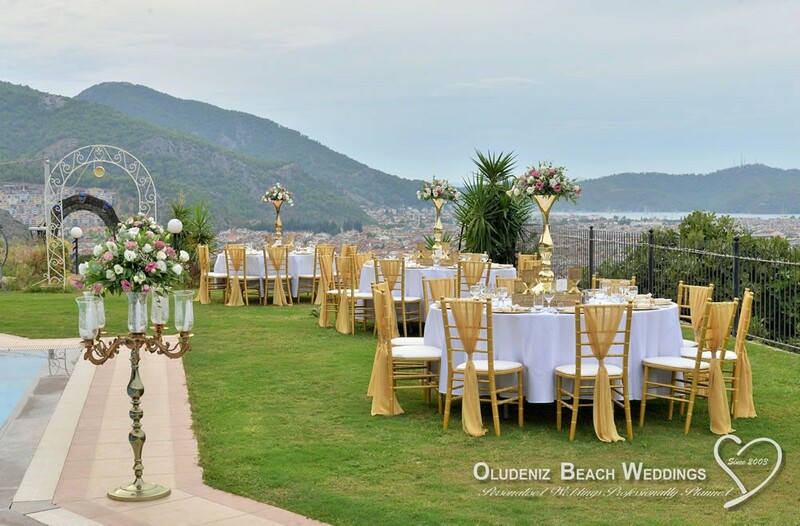 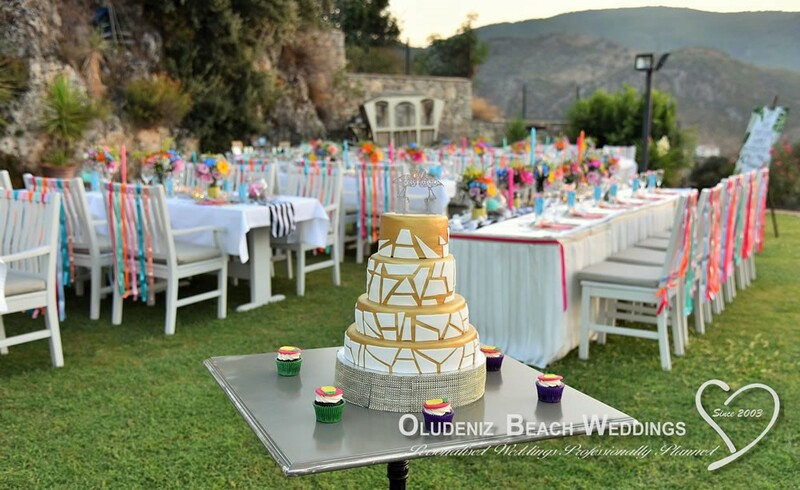 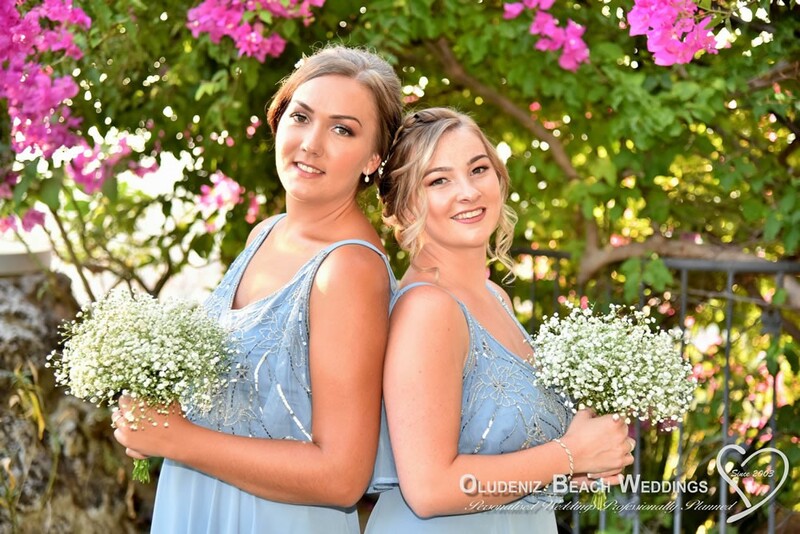 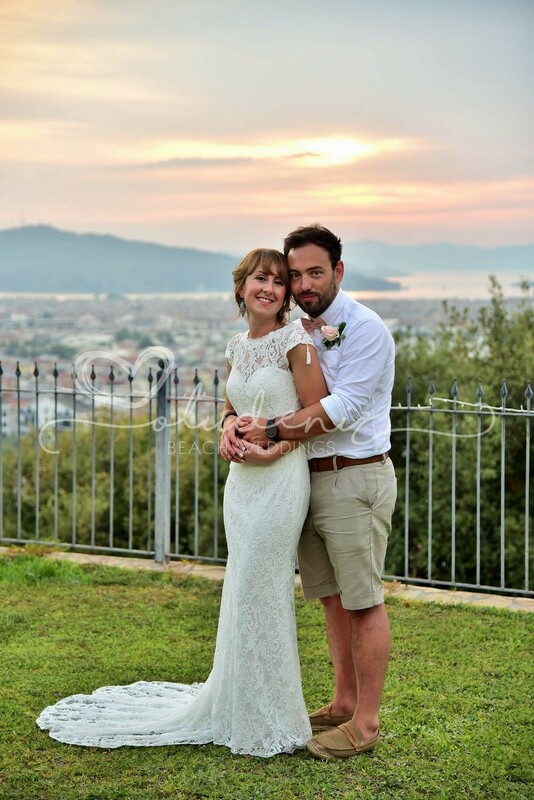 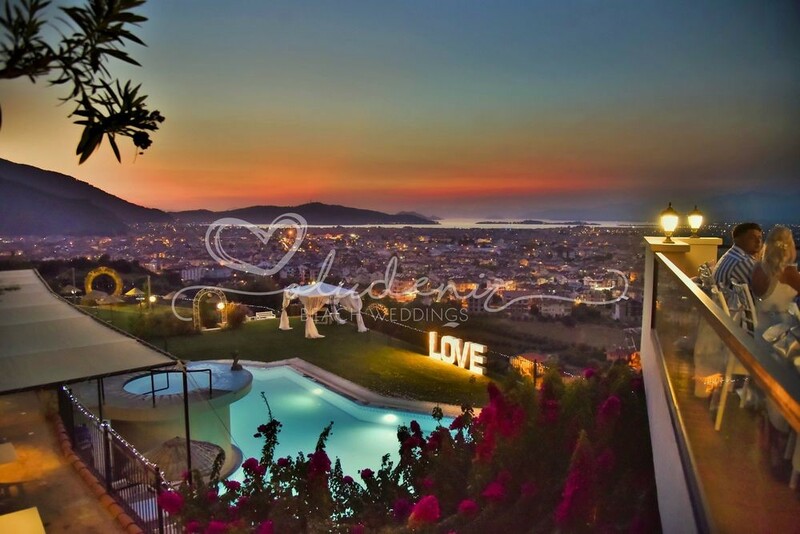 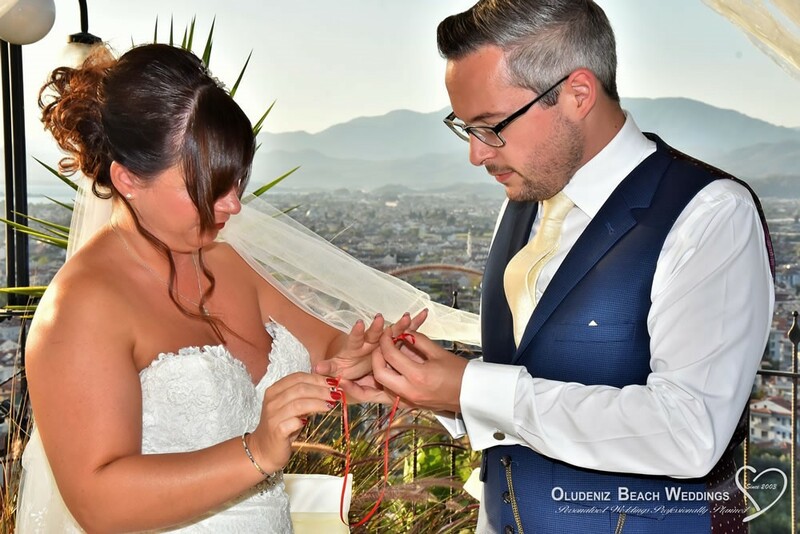 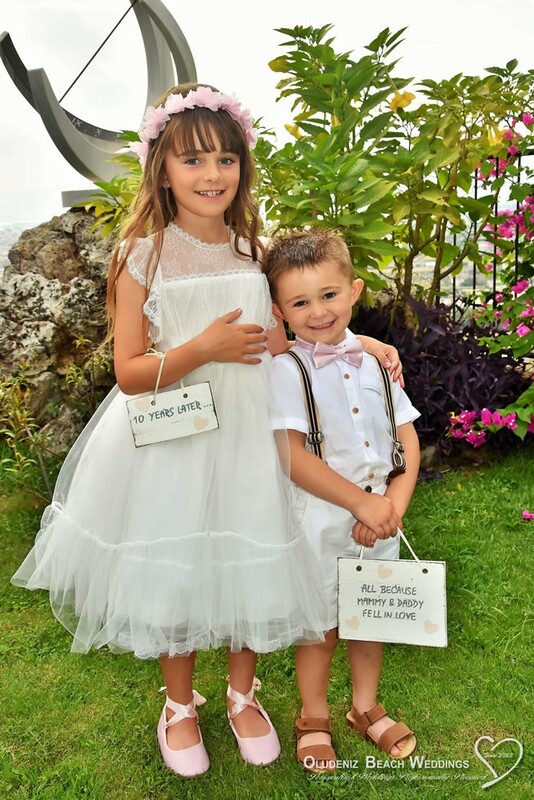 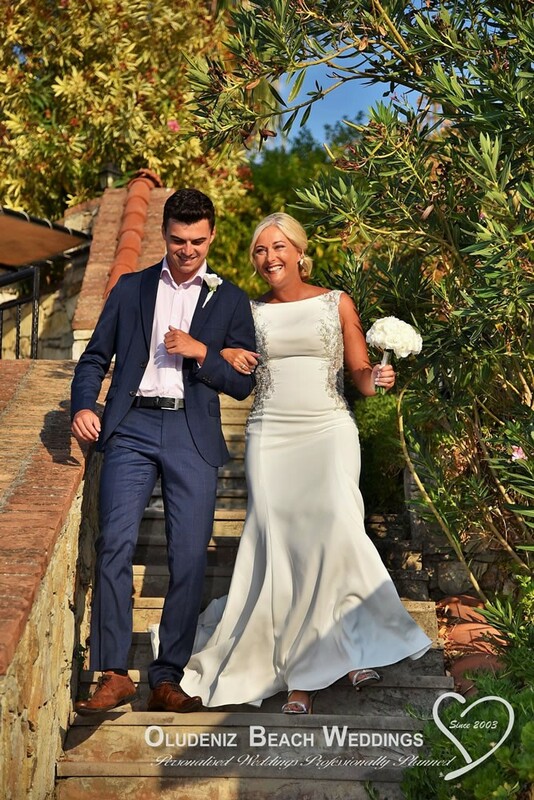 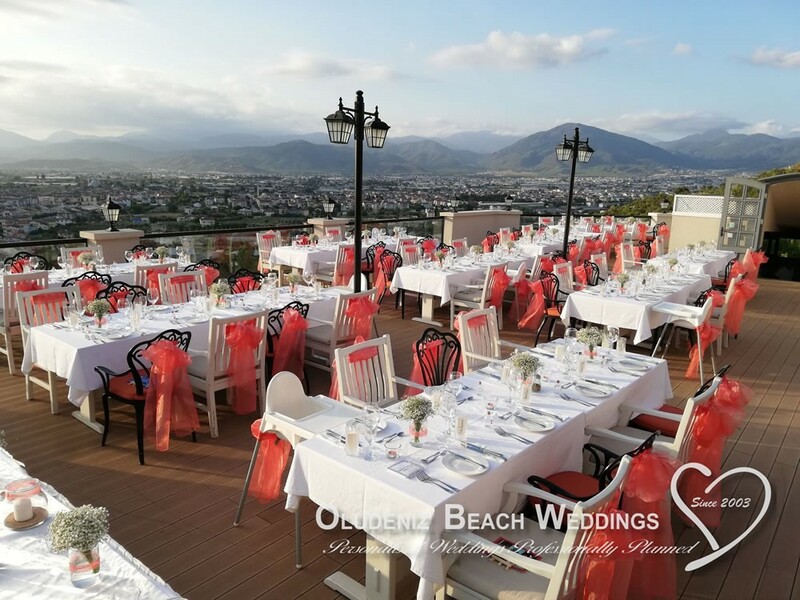 Get married at Sundial Restaurant; a relaxed location on the hillside high above Fethiye with awesome panoramas from its terraces. 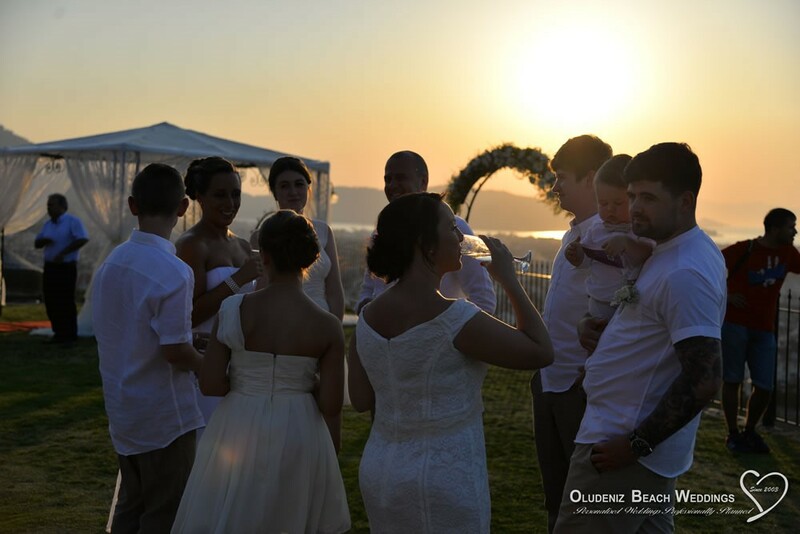 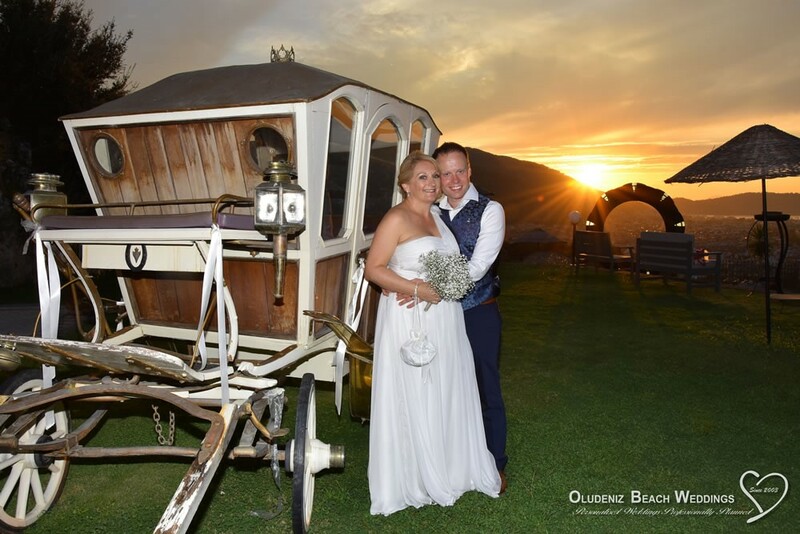 Then, following a champagne toast, while the newlyweds have sunset photos taken the guests will be driven to the reception venue. 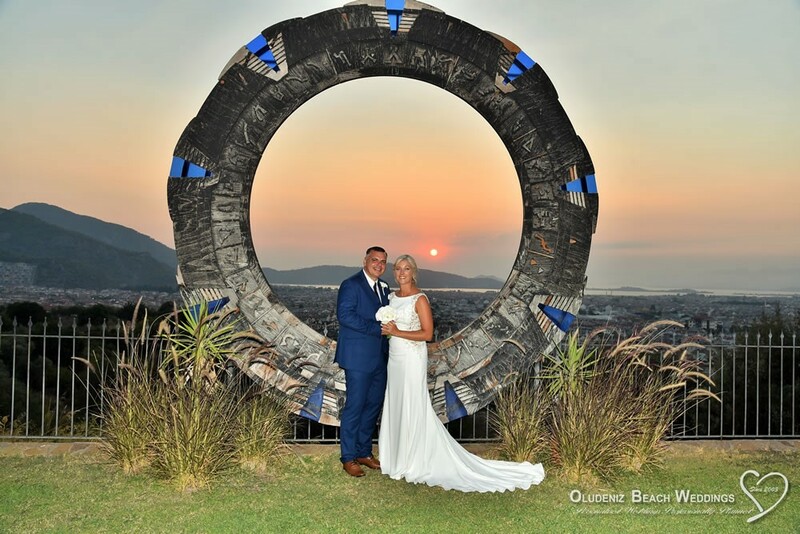 Please select a venue from the drop-down menu below.